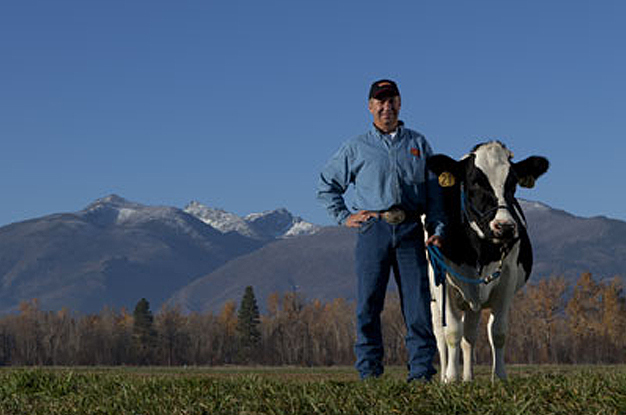 For its track-record of technical expertise, creative problem solving, innovation, and excellence, Brightworks Sustainability is one of the most trusted sustainability consulting firms in the United States. Sorry, there were no matches. Please try again. When the conversion of this 1927-era tower is complete, Boston's Back Bay will enjoy 232 new luxury apartments with period charm and modern amenities. Dramatic street-level arched windows will frame the offerings of high-end retailers. 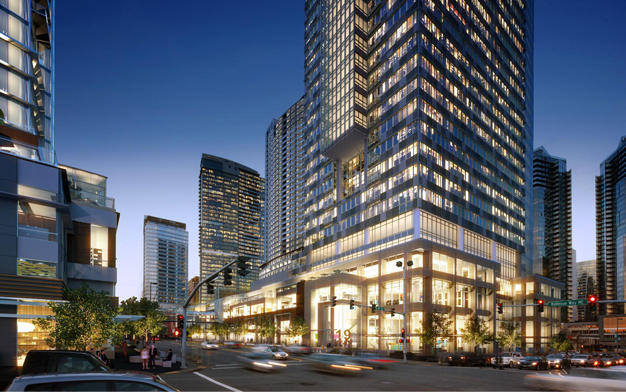 Wright Runstad manages this 55-story, 1.1-million-square-foot Class A+ office tower in the core of downtown Seattle, which achieved Platinum in its initial LEED EB:O+M certification. Brightworks is now managing the re-certifcation effort. For a roll-out of new stores throughout the United States, Gucci retained Brightworks to manage a high-profile LEED program; provide energy analysis; support financial decision-making; and access new ideas in healthy materials. 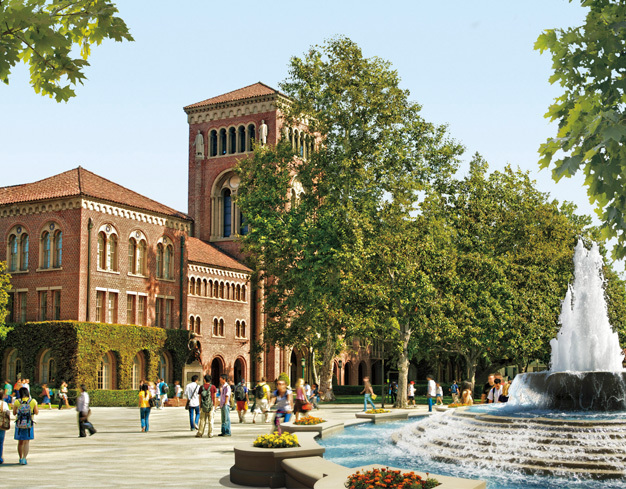 Addressing outdoor environments, land use, transportation, water, energy, building design, waste, recycling, and hazardous materials, Brightworks developed sustainability concepts for USC's 30-year master plan, the university's first-ever master plan. When complete, this LEED Gold boutique hotel will rise 20 floors above downtown Portland, Oregon, and offer 245 guest rooms, a conference center, a restaurant/bar/market, a rooftop restaurant, an adjoining swimming pool terrace, and support spaces. This 10-story core and shell office tower with lobby, ground-floor retail, amenity space, and a rooftop amenity deck will target tech and other new economy tenants with LEED Gold or LEED Platinum certification. Located in San Francisco's Architecture 2030 District, this new Alexandria facility will receive expedited permitting as a result of its commitment to achieving LEED Platinum certification. 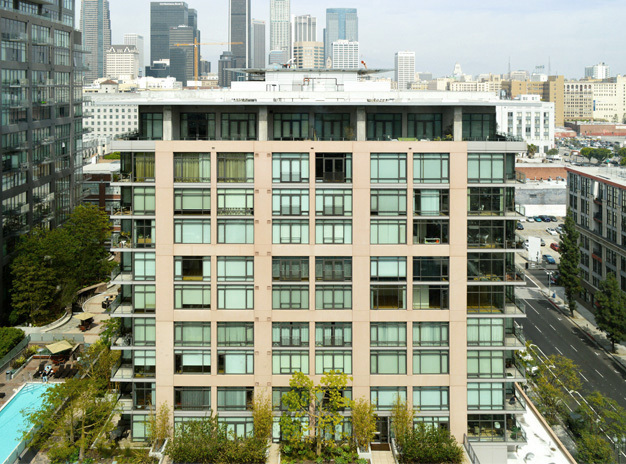 Named one of Natural Home magazine's Best Green Condos in America, 5th and Madison adjacent to the new Seattle Central Library annually reduces domestic water use by over 30% and energy use by 27%. The construction process reduced landfill waste by 75%. 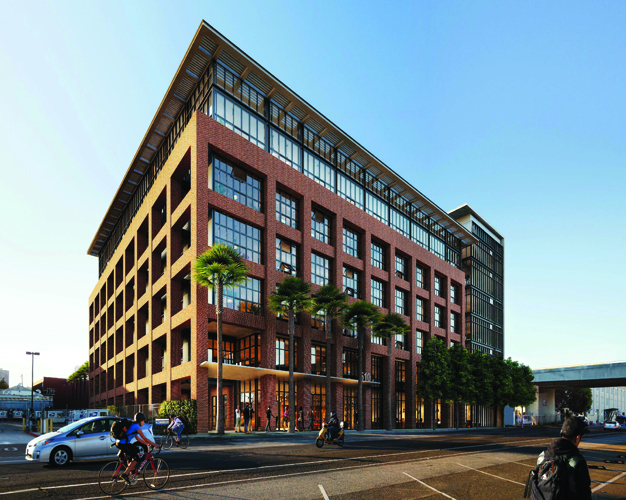 Targeting LEED Gold certification, LinkedIn’s tenant improvements to this entire three-story, 23,000-square-foot office building, developed by Peery Arrillaga, will include open plan workstations, conference rooms, break areas, and support spaces. 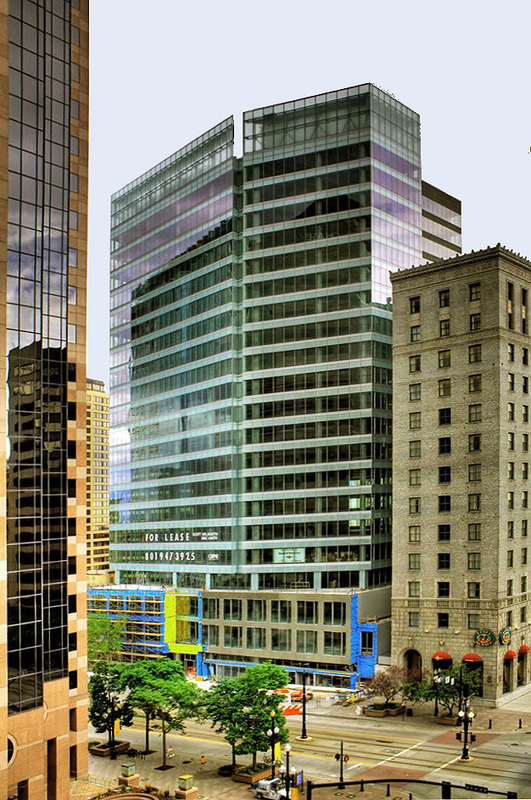 This 40-story, 1970s-era office tower in Seattle's central business district underwent an extensive renovation and achieved LEED EB Silver for reducing energy consumption by 35%, water use by 50%, and total operation and maintenance costs by 15%. 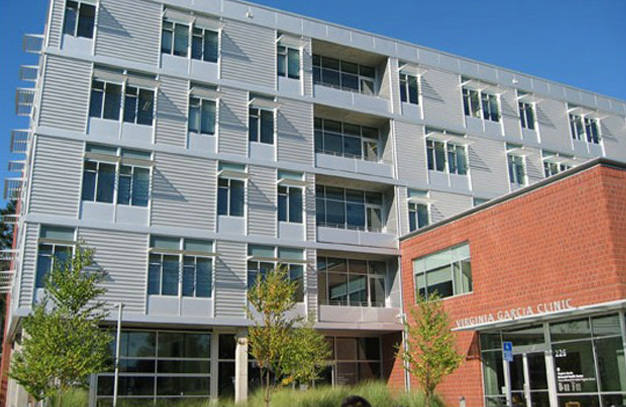 This student residence -- the first in the U.S. to achieve LEED Platinum -- uses 75% less potable water and 35% less electricity than a conventional building. WOU maintains a long waiting list for students eager to live in this model green community. 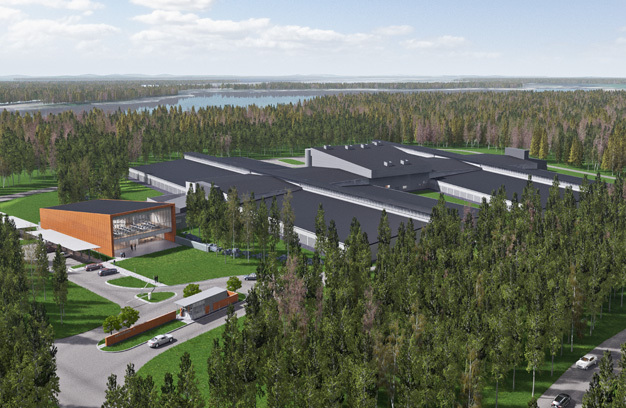 Creators of the most sustainable data centers in the world, Facebook is adding this new complex in Altoona, Iowa, to its portfolio of award-winning facilities, which includes complexes in Prineville, Oregon; Forest City, North Carolina; and Lulea, Sweden. 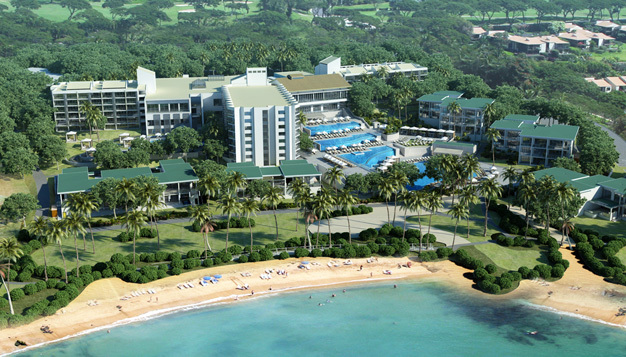 Hyatt reused an existing structure to create the inspired Andaz resort in Maui's luxury Wailea community. The new resort features over 300 sumptuous guest accommodations, specialty restaurants, cascading pools, a spa and fitness center, and meeting space. 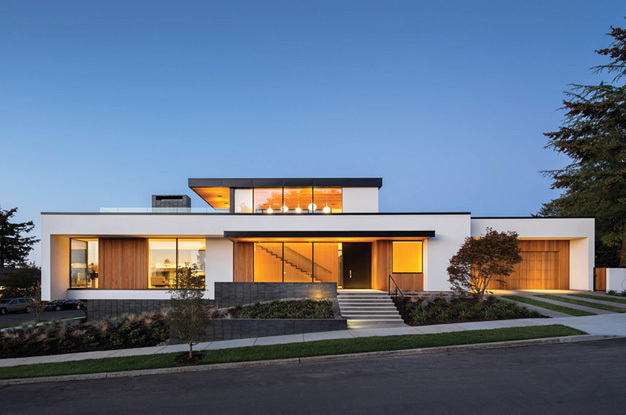 Aiding its successful LEED Platinum certification, Brightworks’ daylighting analysis for this award-winning custom home evaluated daylight autonomy, annual average lux for overcast conditions, and illuminance. 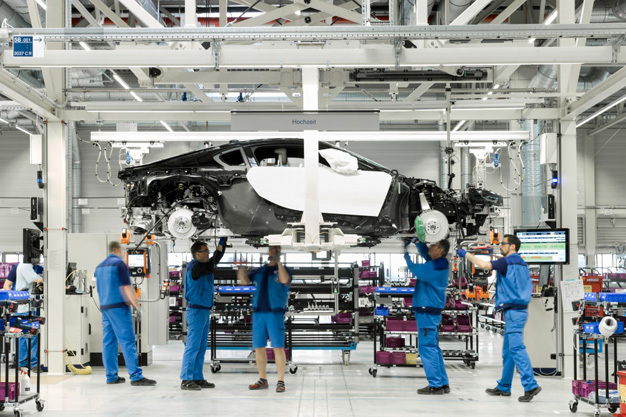 BMW's future automobiles will contain carbon fiber and composite materials manufactured at this facility, which reduced water use by over 80% and gets 100% of its electricity from hydro-electric power sources. 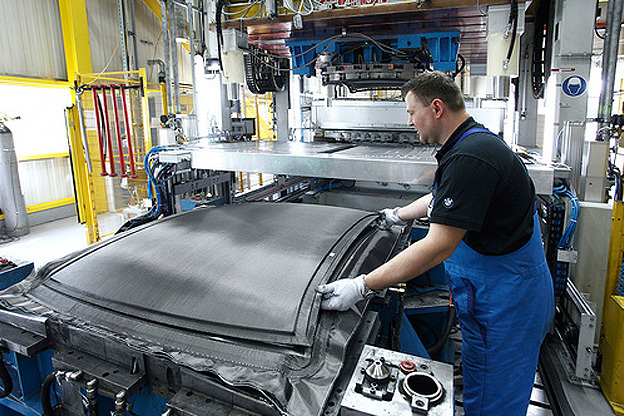 SGL manufactures the carbon fiber and composite materials inside BMW cars. 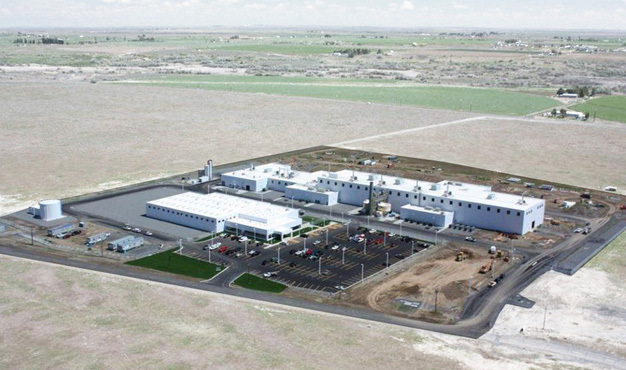 This new North American office and manufacturing complex will reduce potable water use by 46% and be 22% more energy efficient than ASHRAE 90.1-2007. 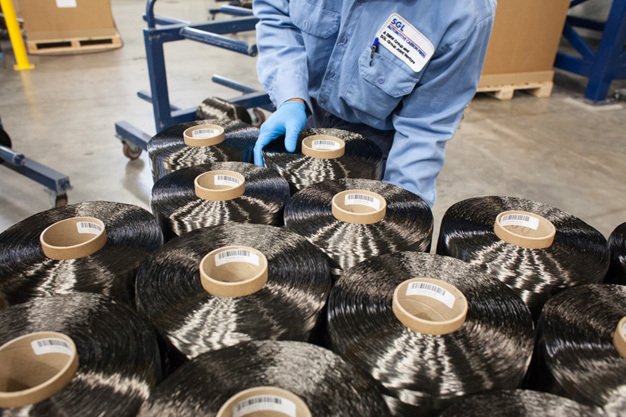 Brightworks' energy model for lines 2 and 3 of this new BMW carbon fiber manufacturing center analyzed energy efficiency measures, simulated results, and presented findings for LEED certification. One of several projects in Brightworks' growing global practice, this 1.5-million-square-foot corporate headquarters for Colombia's largest commercial bank is the first LEED EB:O&M certified building in Colombia and only the fourth in Latin America. 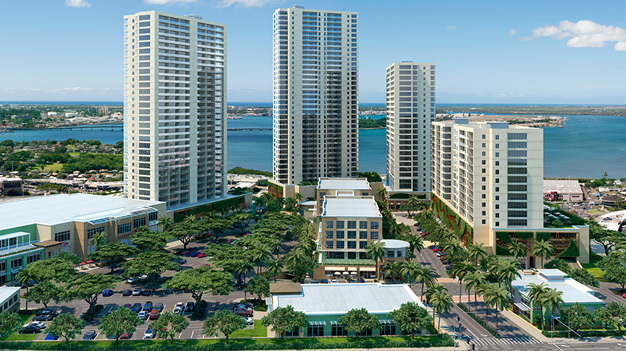 This luxury, high-rise condominium development for over 1,100 residents conserves 4 million gallons of water and totals $342,000 in energy savings annually. 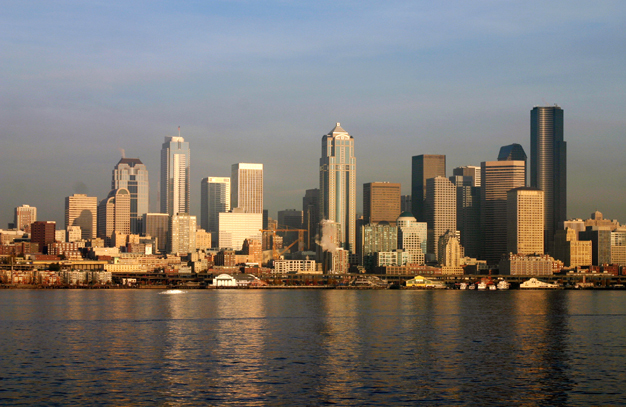 The towers bring much-needed housing to downtown Bellevue, where shopping and offices predominate. In this LEED Gold facility, which houses state-of-the-art analytical equipment and powerful computing capabilities, scientists gain advanced insight into the use of micro-organisms for renewable bioenergy and carbon sequestration. The Boeing Field Customer Delivery Center is one of two such facilities where Boeing customers take ownership of -- and celebrate -- their new aircraft. 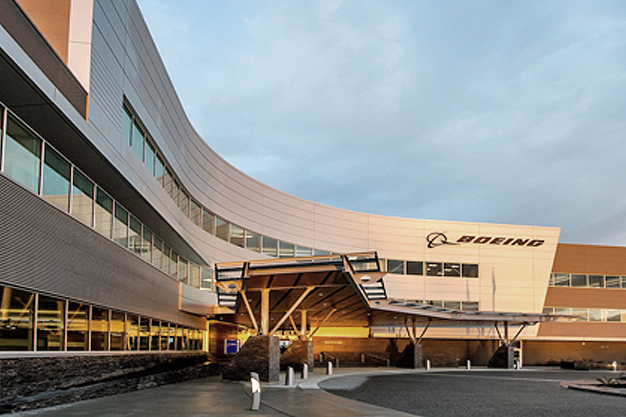 Brightworks has provided LEED services for six major Boeing facilities. Blending historic architecture and 21st-century design, this 202-unit tower will infuse new residential life into Boston's emerging Innovation District. 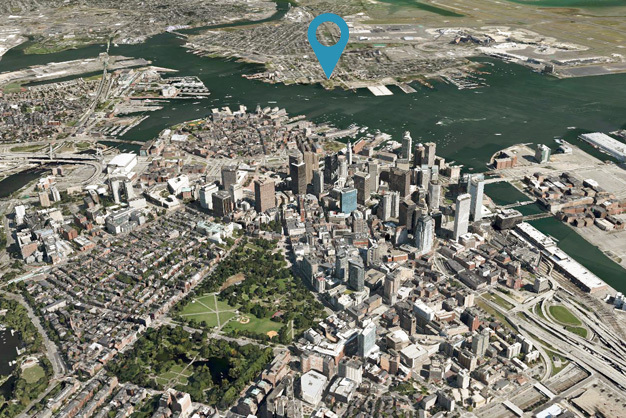 A 20th-floor roof deck and fitness center will give panoramic views of Boston's seaport and skyline. 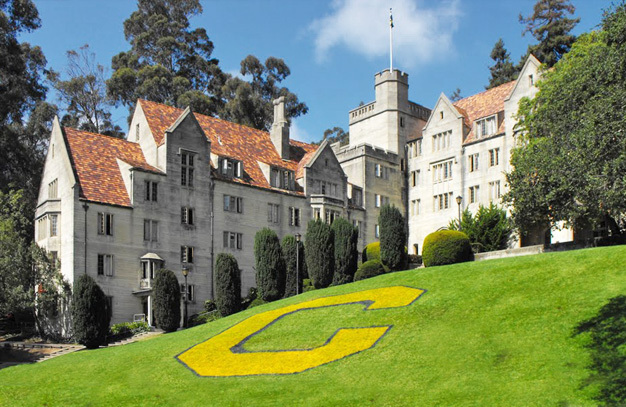 Built in 1928 and listed on the National Register of Historic Places, UC Berkeley's Bowles Hall is receiving a complete renovation with all new systems and common space, food service, utility, and recreation additions. 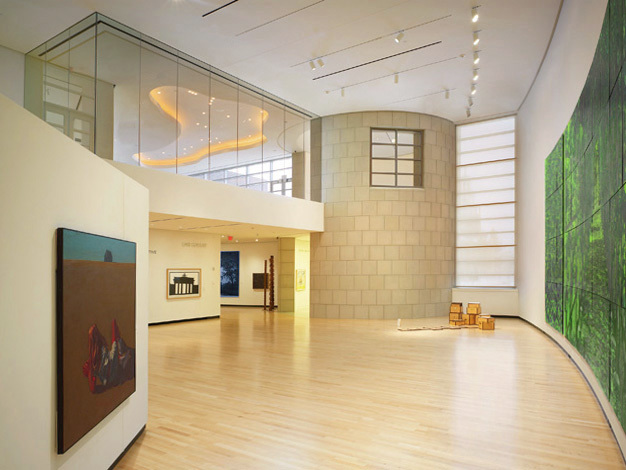 In a state with an abundance of art museums, the Burchfield Penney Art Center is the first to be LEED certified. On the campus of Buffalo State College, it is named in honor of Charles Burchfield, a noted artist from upstate New York. 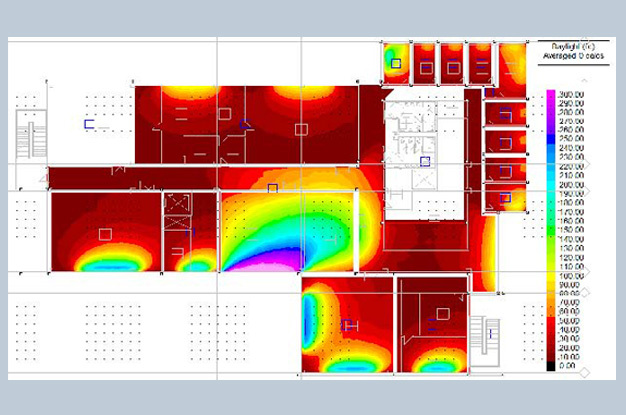 Brightworks completed a conceptual daylighting analysis of this 55,000 square foot higher education laboratory to quantify the amount of light in the building and suggest passive design strategies to reduce its energy consumption from artificial lighting. 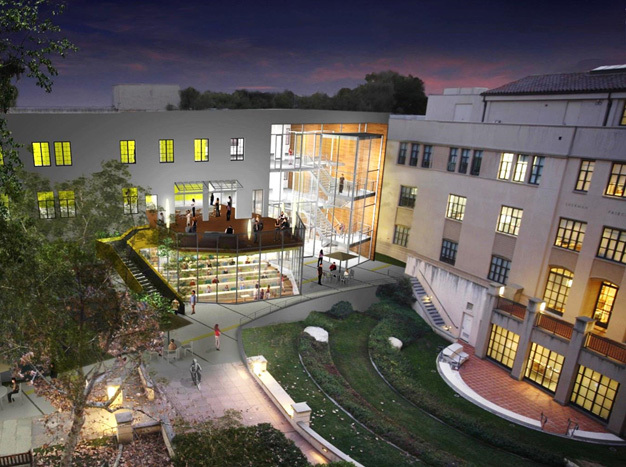 Pursuing LEED v4 certification, Caltech's renovated Thomas Laboratory will offer state-of-the-art research and teaching space for the mechanical and civil engineering and engineering and applied science departments. 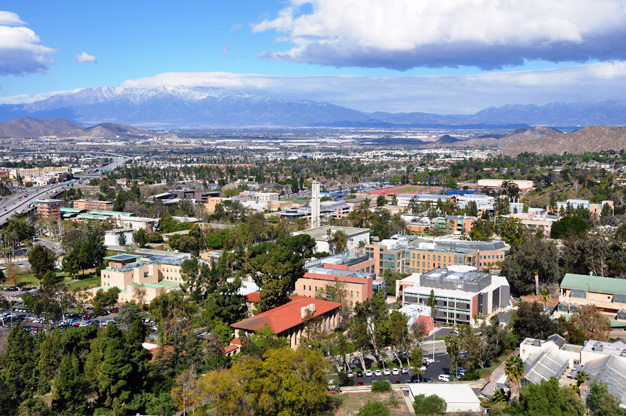 To help it comply with the UC System’s goal of being carbon neutral by 2025, Brightworks helped UC Riverside develop a net zero energy strategy as part of a campus master planning effort. 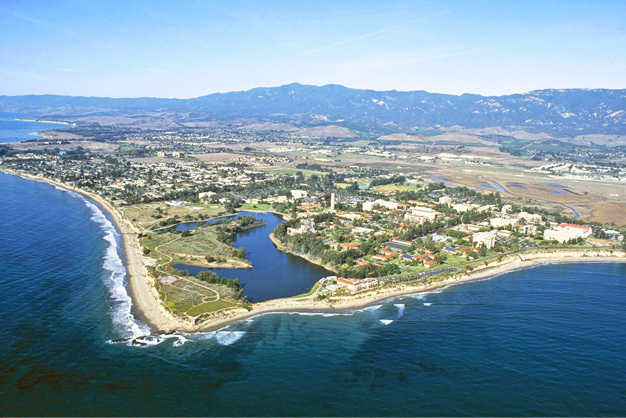 Brightworks guided more than eighty faculty, staff, and administrators through a transformative process of learning, visioning, planning, and implementation of UCSB's first campus sustainability plan, considered a model for its interactive process. The target market for Crate and Barrel's CB2 expects major brands to practice environmental stewardship. 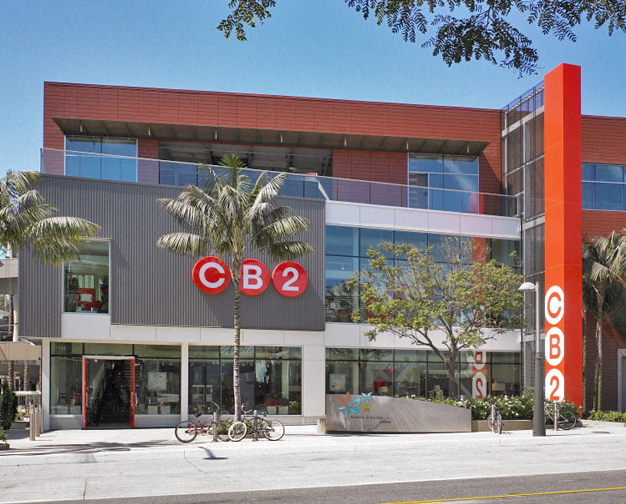 For this reason, CB2's new, 14,000-square-foot retail store in Santa Monica Place uses recycled, local, and healthy materials in its design. 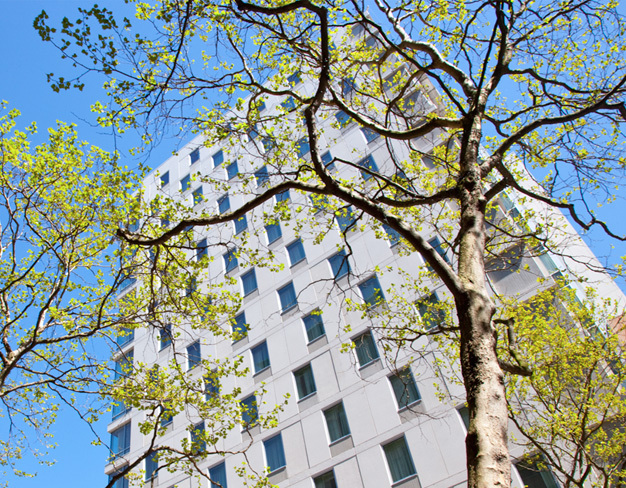 The world's first LEED Platinum high-rise building -- and the first Platinum healthcare facility of any kind -- achieved projected energy savings near $600,000 per year, and cut water use by over 50% with cutting-edge sustainability strategies. Cisco employees at the company's San Jose headquarters enjoy a full suite of health care, child care, and fitness offerings in this LEED Gold facility, which reduces water use by over 410,000 gallons annually, and lighting power density by over 25%. This four-story development is pursuing LEED CS certification for its program of 95,000 square feet of office space, 8,000 square feet of ground floor retail and a luxurious 3,500-square-foot roof deck. 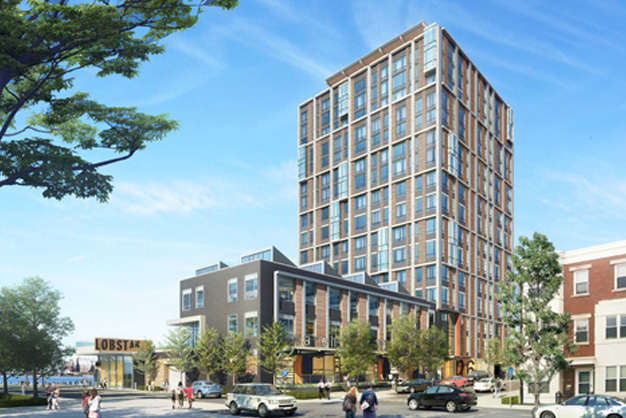 Brightworks is managing Sobrato's GreenPoint Rated equivalency process and developing an energy model for this multifamily residential development so it can achieve municipal compliance, GreenPoint Rated equivalency, and access targeted utility incentives. 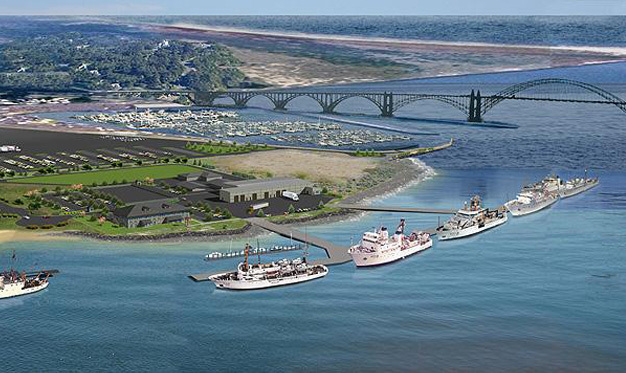 This major renovation is seeking LEED certification for the transformation of existing industrial buildings into state-of-the-art, climatically-stable museum collection storage facilities for sacred artifacts of American West indigenous peoples. Darigold retained Brightworks (with MarketShift and Encapsys) to plan and implement improvements to its energy data collection process in order to improve its CR reporting and stakeholder participation. 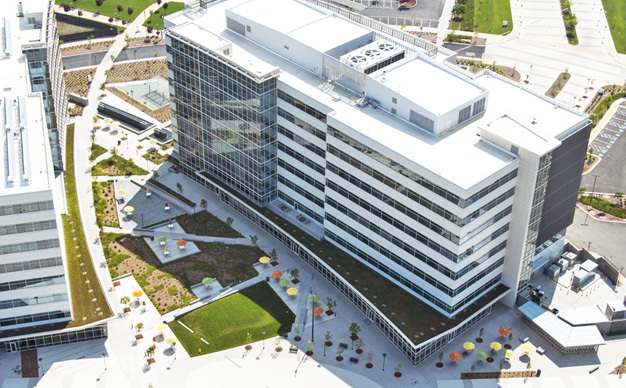 LEED Platinum Certified and net zero energy capable, this new building on Juniper Networks' corporate campus features photovoltaics and the breakthrough Bloom Box, a solid oxide fuel cell technology. Brightworks managed the complex process of achieving LEED EB:O&M Gold certification for Visa's headquarters campus overlooking San Francisco Bay. The process resulted in certification for all four campus buildings. The recertification is now underway. 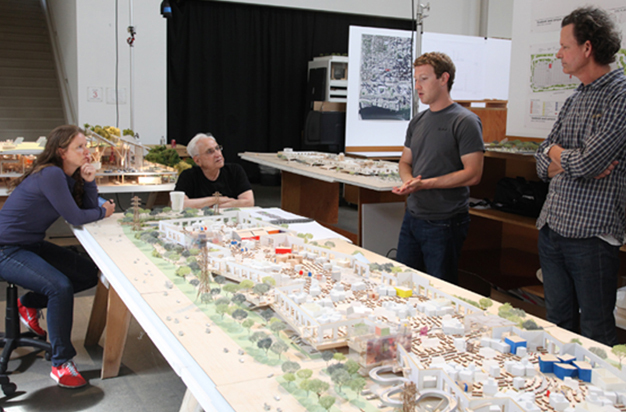 Commissioned by Mark Zuckerberg and designed by Frank Gehry, this new headquarters for Facebook provides an innovative open work environment for employees. The building also features a zoned rooftop landscape offering unmatched views of San Francisco Bay. For this architecture and construction management firm seeking competitive differentiation, Brightworks developed a corporate sustainability plan and associated organizational development programs. Featured in ULI’s 2015 report “Returns on Resilience: The Business Case”, this waterfront apartment tower implemented various resiliency measures shaped by the City of Boston's post-Hurricane Sandy resiliency code. 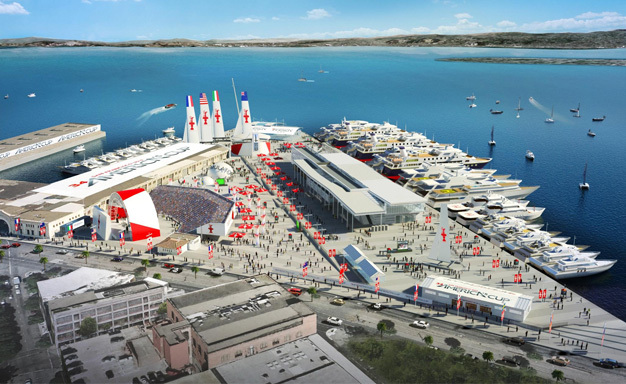 San Francisco’s new Cruise Ship Terminal at Pier 27 enlivens the Embarcadero waterfront. 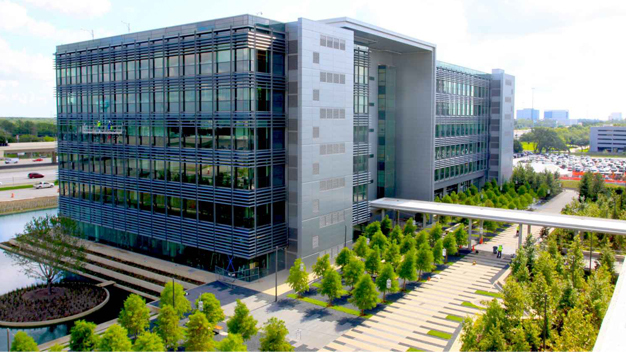 An international point of entry, the 91,000-square-foot facility houses offices for the U.S. Departments of Homeland Security and Customs and Border Protection. Located in Seattle's 2030 District and successfully LEED Platinum certified, this new building provides offices and staging space for the creative, facilities, operations, and administrative staff of the Experience Music Project (EMP). 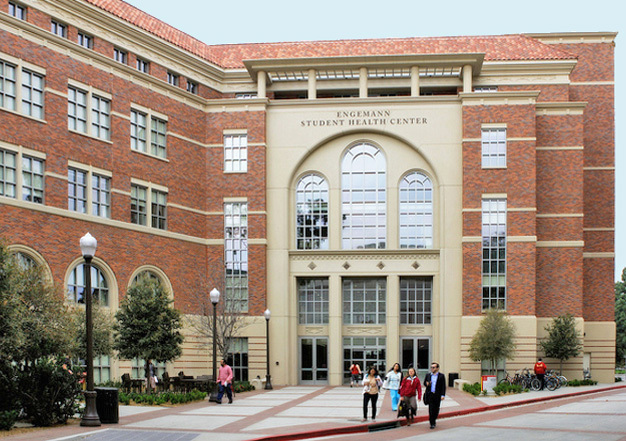 A state-of-the-art facility designed as a healthy, healing environment, USC's Engemann Student Health Center delivers urgent care, medical and dental care, occupational and physical therapy, and counseling services. It is USC's 4th LEED certified building. SDSU is building this new, 90,000-square-foot building with state-of-the-art and sustainable design studios, fabrication centers, teaching labs, clean rooms, and flexible research space to enhance its successful project-based engineering curriculum. 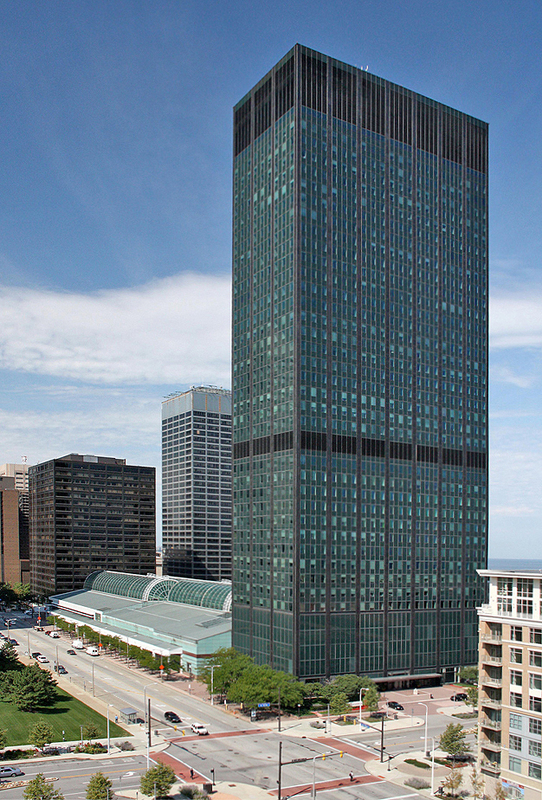 The 38-story Erieview Tower anchors Cleveland's central business district. In partnership with HLMS Sustainability Solutions, a Brightworks affiliate, our team is managing the LEED EB:O&M certification process for this high-profile development. 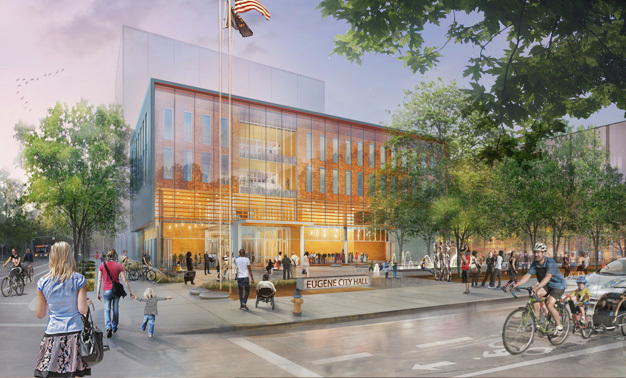 Brightworks is managing the design and contracting teams in their pursuit of LEED certification for the City of Eugene's new 30,000-square-foot city Hall, housing city council chambers, offices for the mayor and city staff, and a public plaza. Boeing's Everett Customer Delivery Center is one of two such facilities where Boeing customers take ownership of -- and celebrate -- their new aircraft. Brightworks has provided LEED services for six major Boeing facilities. This LEED Platinum renovation and addition at HP's headquarters facility in Palo Alto serves as the new main entrance to the campus. 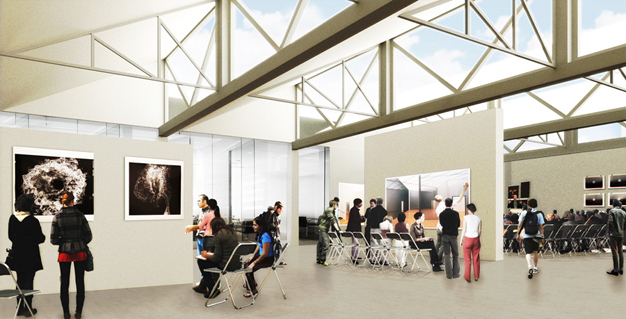 Housing offices, café, and gallery spaces, the facility serves as a briefing center for executives. 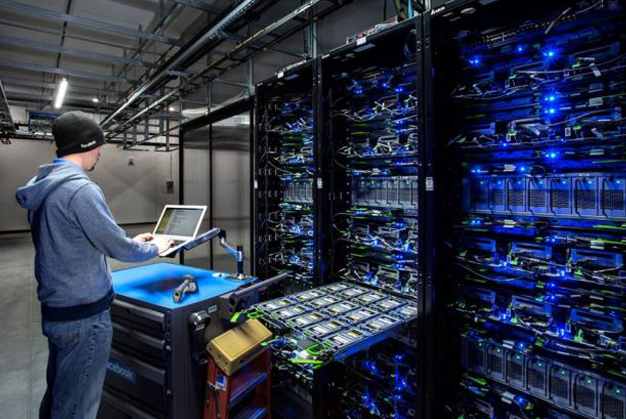 For Facebook's first international data center, Brightworks completed a comparative assessment of BREEAM and LEED before managing the LEED certification effort for this innovative facility, powered by 100% renewable energy. 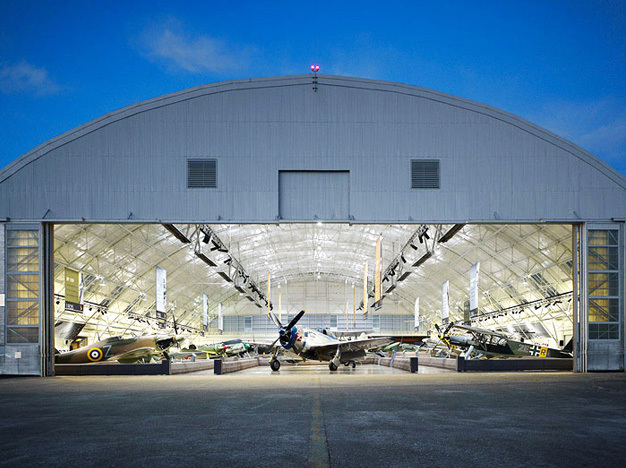 The world's largest data center co-location provider, Equinix retained Brightworks to oversee the LEED design and certification for a data center reference design to be built on four new data centers around the U.S.
Home to over 30 aircraft from World War II, the Flying Heritage Museum at Paine Field has added exhibit space, a museum shop, an interpretive theater, and support space for its growing collection in a new, LEED Silver Certified addition. 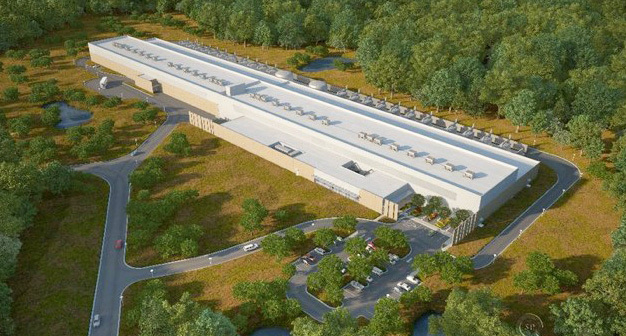 To mitigate cloud computing’s environmental footprint, Facebook is building precedent-setting data centers around the United States and the world, including this one in North Carolina, its first in Oregon, and another in Sweden. 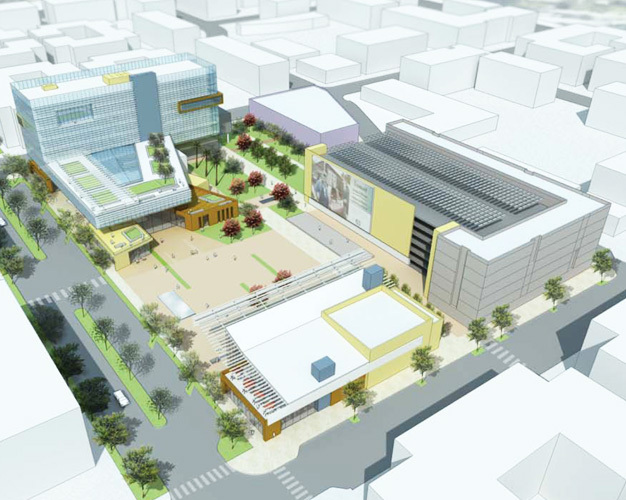 Brightworks is supporting the City of Fremont to lay the groundwork for site-wide sustainability features across its new, six-acre Civic Center development, which will host city offices, a community center, private housing, and a parking structure. Brightworks is the EarthAdvantage project steward for this 29,000-square-foot wellness center and clinic offering medical and behavioral counseling spaces, a kitchen, a food pantry, and an exercise room for preventative and healthy lifestyle classes. 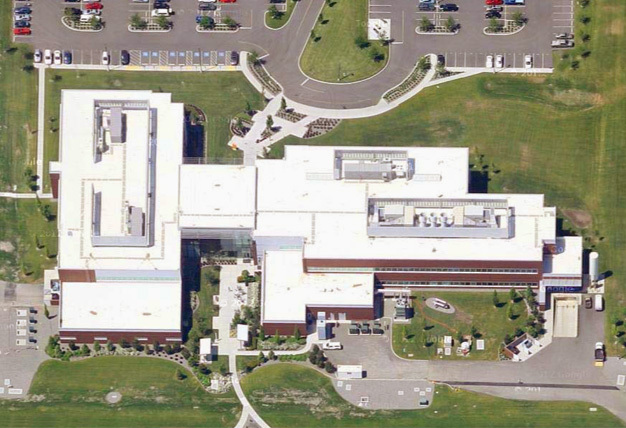 Brightworks conducted extensive analysis and modeled the potential for energy efficiency measures and on-site solar energy to help this existing high school building achieve its net-zero energy target. 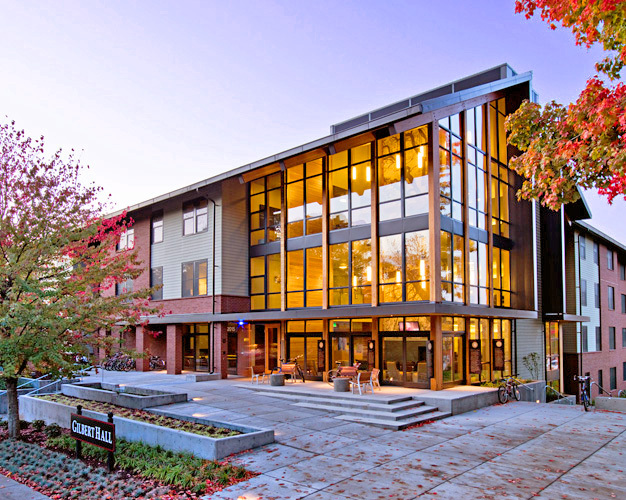 During a recent campus capital program, Brightworks partnered with Pacific University to achieve LEED certification on six new buildings. This building's storm water management plan integrates native landscaping, bioswales, rain gardens, and cisterns. Since 2010, Brightworks has developed and implemented the green building strategy for Facebook’s global data center program, comprising millions of square feet of new LEED Gold certified data center space. As this NASDAQ-listed client implements a global sustainability program, Brightworks is supporting the company’s corporate facilities team as it establishes sustainability practices at headquarters and exports them to field offices around the world. Google acquired three floors of this Chelsea office building to expand its New York offices. 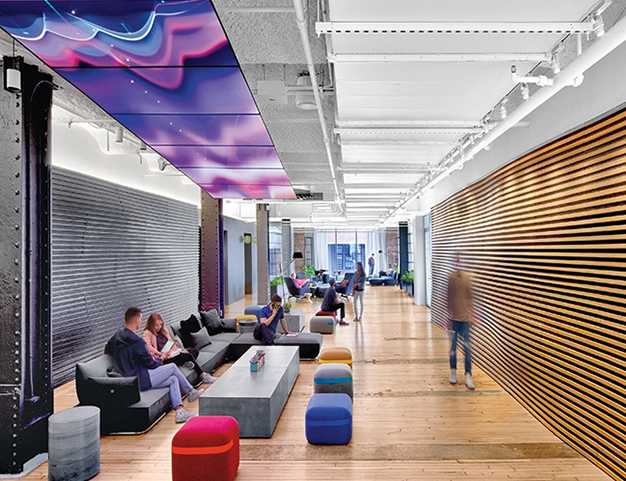 Brightworks administered Google’s Project Requirements, a healthy materials program, and LEED CI certification. 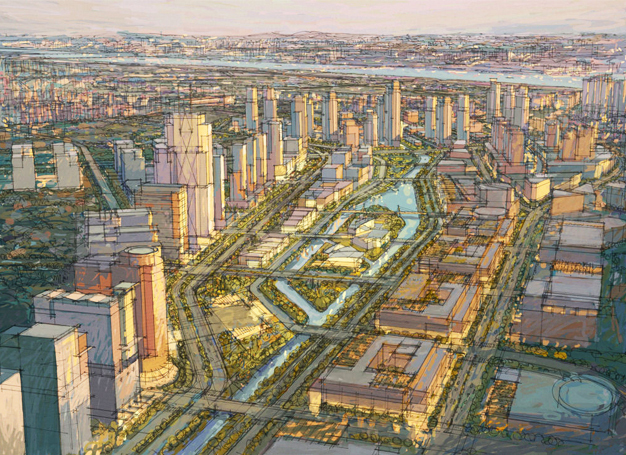 Employing the principles of Biomimicry, Brightworks developed visionary master plan concepts that will reduce carbon emissions 72 percent and eliminate methane off-gassing in this new 7,000-acre, 250,000-citizen Korean city. 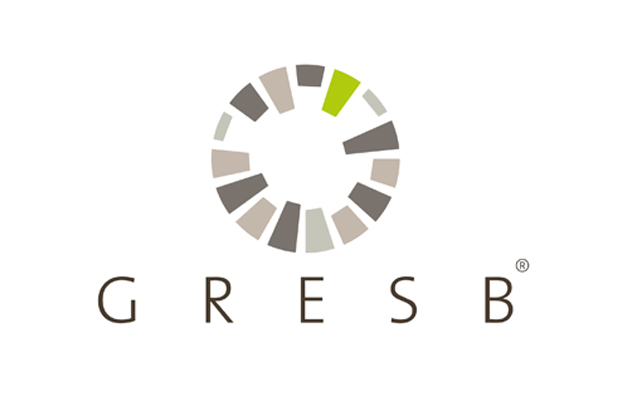 By participating in the Global Real Estate Sustainability Benchmarking program, this developer is enhancing shareholder value by evaluating and improving its sustainability program against global best practices. 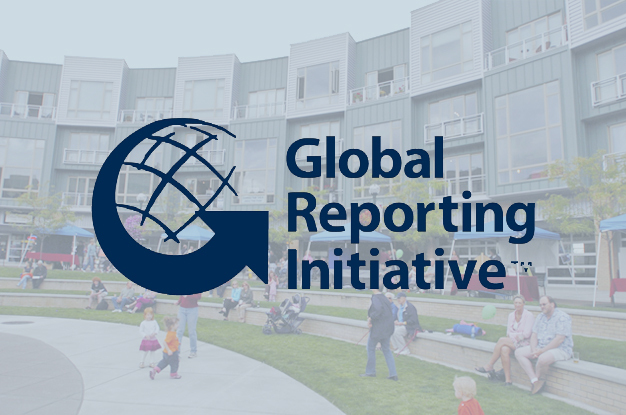 Brightworks facilitated the City of Beaverton, Oregon, in preparing C-level sustainability reporting under the Global Reporting Initiative, or GRI, helping it become the first-ever municipality to report under GRI G4. Brightworks peer reviewed the LEED Platinum certification plan for this new BP energy trading center in Houston, saving time and reducing the LEED project's cost by correcting improper documentation. Adjacent to Hudson Yards and the High Line, Related's The Abington in Chelsea will offer 250 LEED Gold luxury apartments. Brightworks is also piloting a healthy and sustainable materials program in the development. 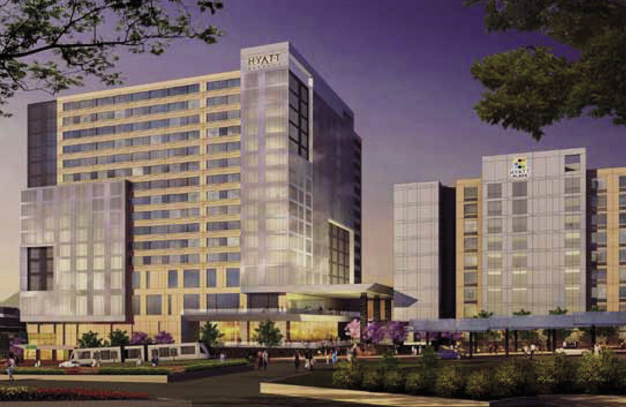 The hundreds of thousands of annual visitors to Portland’s Oregon Convention Center will soon enjoy sustainable, healthy, and state-of-the-art accommodations within this new, 600-key Hyatt Hotel across the street. 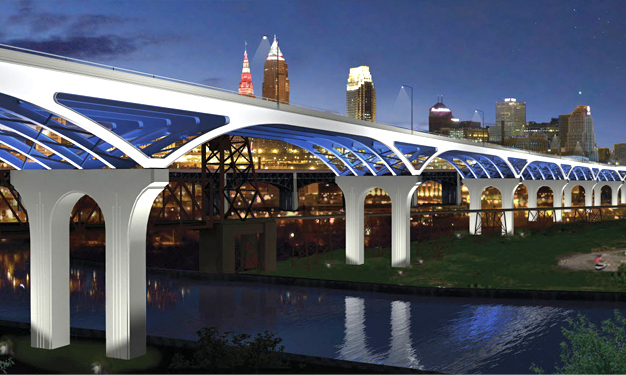 Infamous in environmental history for erupting in flames, today the Cuyahoga River boasts an innovation in sustainability: this new bridge, seeking certification under the Federal Highway Administration's new INVEST sustainability rating system. Nu Skin's $70-million, 168,000-square-foot innovation center and manufacturing complex contains merchandising, offices, laboratories, retail, restaurant/cafeteria, and data center spaces. 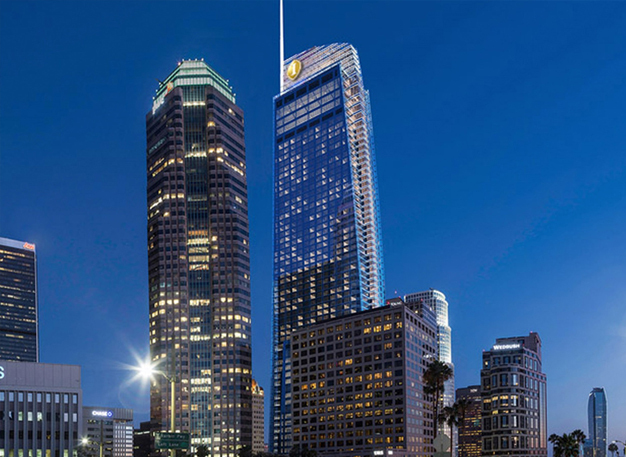 Downtown Los Angeles' new InterContinental Hotel will be part of the Wilshire Grand Tower, the largest tower west of the Mississippi River. 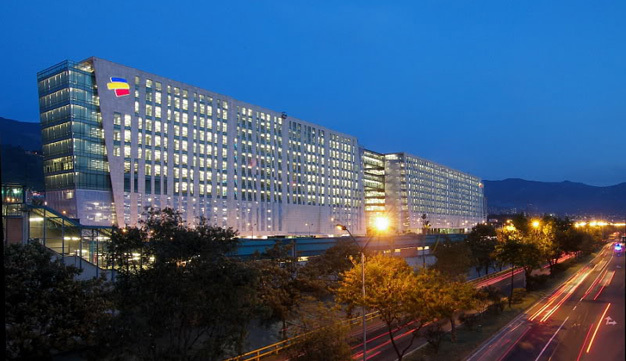 Part of a new Yanbal complex in Bogota, Colombia, this 86,000-square-foot manufacturing facility connects to an adjacent shipping center, where products are distributed to the eight Latin American and two European countries where Yanbal is sold. Nike founder Phil Knight pledged $500 million to revolutionize cancer detection and treatment and build this new, 260,000-square-foot research building with wet labs, a vivarium, collaboration space, and spaces for conferencing, retail, and food service. For CSUCI, the youngest CSU campus, Brightworks completed a comparative study of LEED NC, LEED EB:O&M, and CALGreen to help the institution design a unique and customized campus sustainable O&M program. The innovative and award-winning LEED Platinum program for this university arts center balanced historic preservation of a revered 1912 building with modern sustainability, occupant health, and energy efficiency measures. 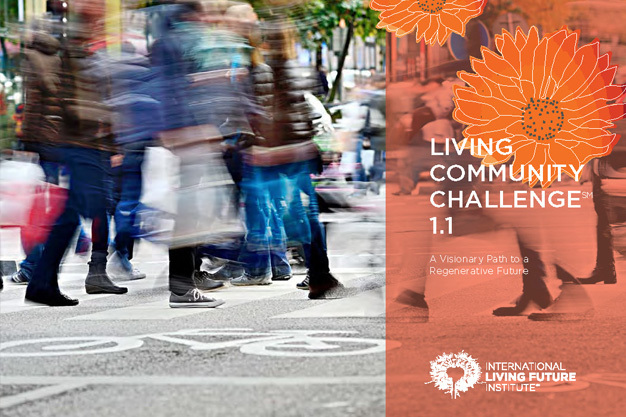 This 14-acre, mixed-use development is evaluating integrated sustainability strategies site-wide that will meet local requirements, provide meaningful results for the community, and create a culturally and environmentally rich place to live, work and play. 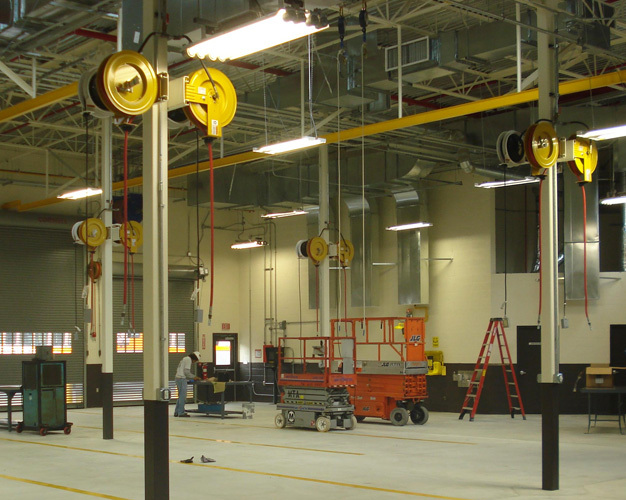 To develop a fast-track LEED certification plan, Brightworks partnered closely with the design-build team for this 200,000-square-foot aircraft maintenance and repair facility. Responding to student needs for healthier, more efficient, and more sustainable living environments, the new UCLA Margan Apartments will replace an obsolete building with 42 new, LEED Gold two- to six-bed units for undergraduates. 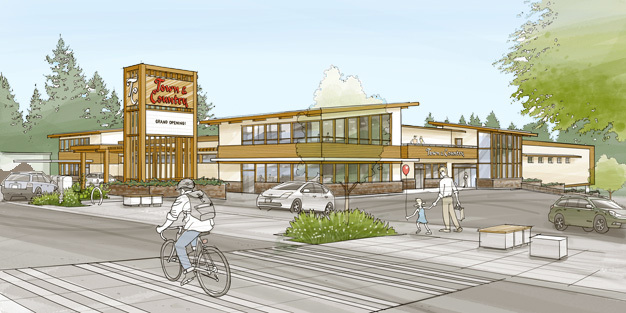 A leader in the integration of primary care and mental health services, Navos will use this new, healthy and sustainable facility to help South King County's low-income residents thrive. To support the City of Tigard in creating its first sustainability action plan, Brightworks developed a draft plan for City staff to roll out to city departments and modify over time as internal sustainability capabilities expand. Gilead Sciences discovers, develops and commercializes innovative medicines for patients all over the world. This new research building at their headquarters location will meet municipal green building requirements by achieving LEED certification. With its specialized expertise in data centers, Brightworks helped Fidelity demonstrate a 24% energy cost savings in its new Nebraska data center, securing the owner and the design team 7 LEED points and helping fulfill the owner's LEED Gold target. 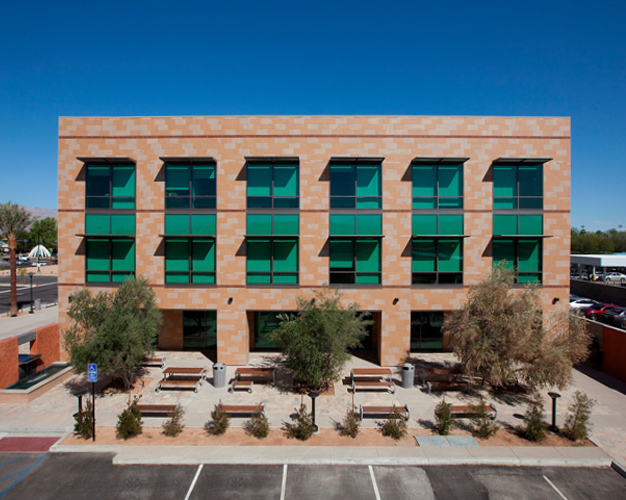 Brightworks partnered with long-time colleague Yudelson Green Building Consultants to deliver a LEED Gold certification for this corporate headquarters in downtown Tucson, providing much-needed office space for more than 500 UniSource workers. Gucci's new retail store in the Miami-Dade County community of Aventura will pursue the advanced energy analysis and other sustainability strategies being pursued in Gucci's 2016/2017 store roll-out. Within Ziba Design's new headquarters, a healthy and sustainable creative office environment inspires staff and clients alike as they pursue innovation in product design. As sustainable as it is modern, this refined workplace achieved LEED Platinum certification through a sharp focus on healthy and sustainable materials and outstanding indoor environmental quality. 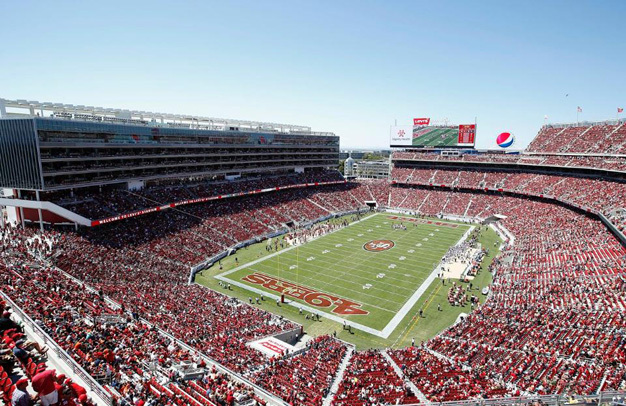 Excellent alternative transportation, recycled materials, water conservation, a green roof, a large PV array, and sophisticated building controls helped the 49ers score the NFL’s first LEED Gold stadium certification. 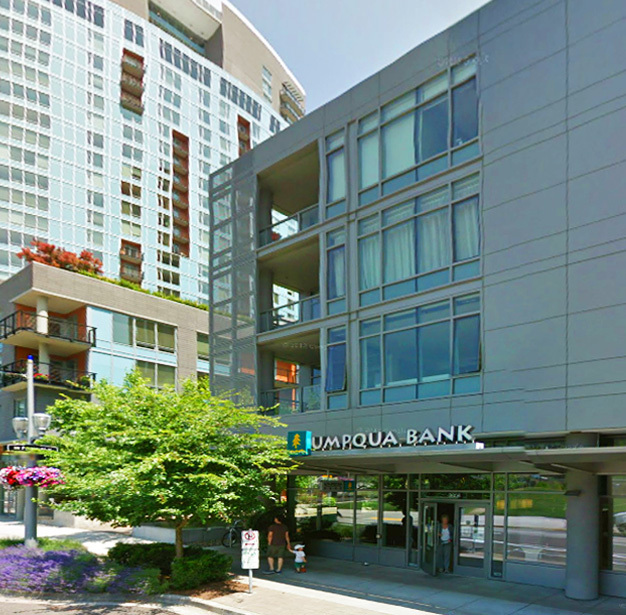 This conversion of a 13-story office building into a modern Marriott Courtyard achieved LEED Gold certification with high-efficiency HVAC equipment, heat recovery, a tight envelope, and efficient lighting, saving $140,000 annually in operational costs. Operating from a strong commitment to corporate responsibility, this new Gucci retail store is using design analysis to optimize energy performance and pursuing LEED certification to fulfill the requirements of its corporate and customer stakeholders. For this relocation of its store in San Juan, Puerto Rico, Gucci is pursuing advanced energy performance, responsible material selection, and LEED certification. 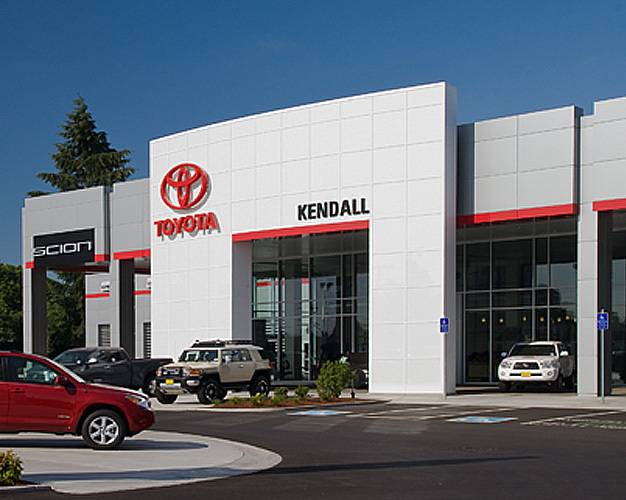 The first LEED Platinum dealership in the United States, this Toyota sales and service center achieved energy and water reductions of more than 50%, reducing energy costs by $68,000 and carbon emissions by 214 tons annually. For the first LEED certified branch of this progressive bank, Brightworks advised the design and construction team as it integrated LEED strategies during construction documents, ultimately achieving LEED Silver certification. Designed to encourage active living, these three new student housing facilities for Cal State Northridge undergraduates provide 396 new beds, and improve quality of life, comfort, and academic well-being. Pacific Northwest-based sustainable grocery chain New Seasons retained Brightworks to manage the CALGreen compliance and LEED equivalency measures required to transform a former big box electronics store into a 33,000 square foot green market. 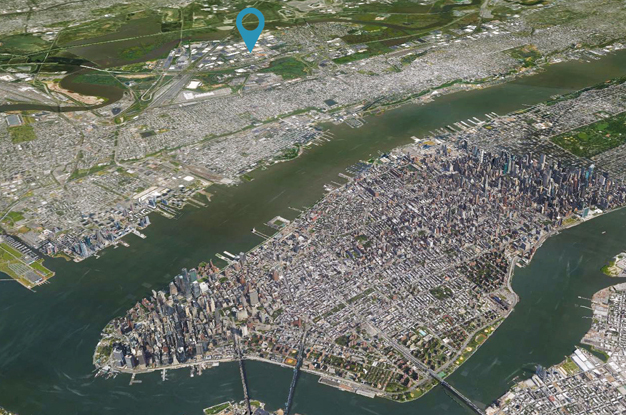 Located in sight of Manhattan, Equinix’s NY6 data center serves the world's largest financial, media, and enterprise companies. In addition to LEED Platinum certification and a healthy building program, the dramatic design of this 1,000,000-square foot expansion to Nike’s World Headquarters asserts a new, forward-looking image for the company at a time of rapid global expansion. This renovation of Alexandria Real Estate’s Northern California offices in San Francisco’s Mission Bay neighborhood is seeking LEED Platinum certification. 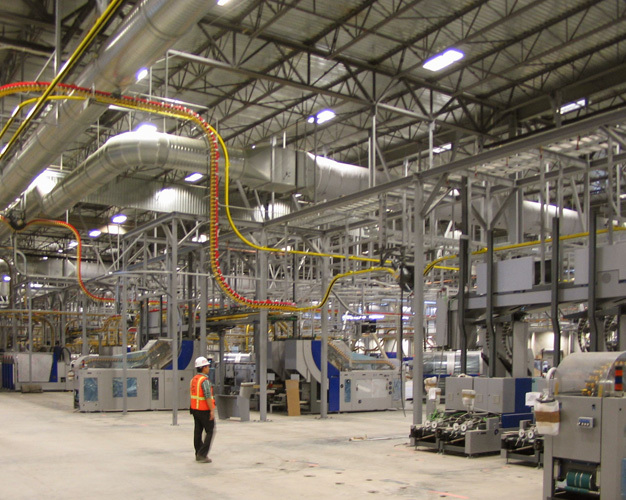 This 350,000-square-foot manufacturing and warehouse space was built for Transcontinental, the largest Canadian printer and the sixth-largest in North America. For this flagship U.S. location, Brightworks managed the LEED Silver certification process. 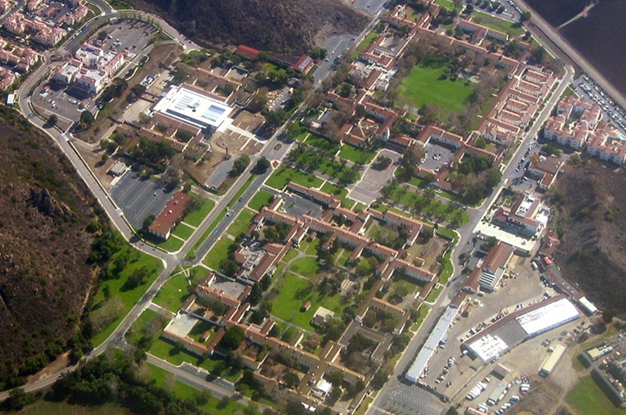 The energy strategy for this 182-acre, 2.7-million-square-foot research campus details an energy intensity reduction strategy to meet EO 13514's net zero energy buildings goal while stewarding natural resources long-term. 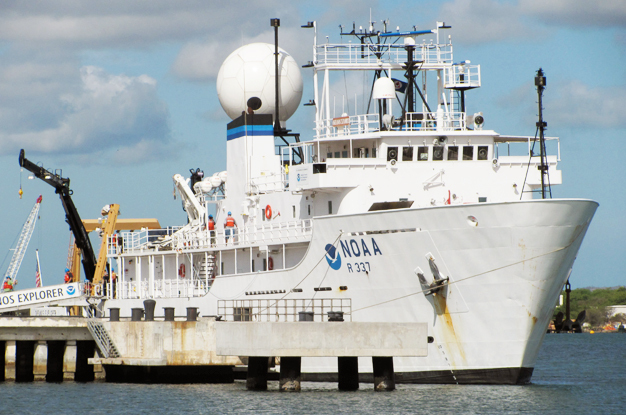 Between oceanographic survey missions, NOAA's Pacific fleet docks at this LEED Silver certified operations hub in Oregon, where the fleet receives routine maintenance and repair. 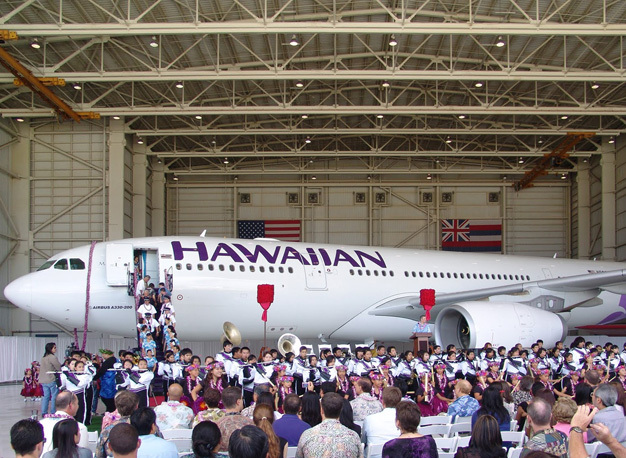 The new headquarters for all NOAA operations in the Pacific Ocean occupies two adaptively-re-used World War II-era Aircraft hangers in Pearl Harbor. 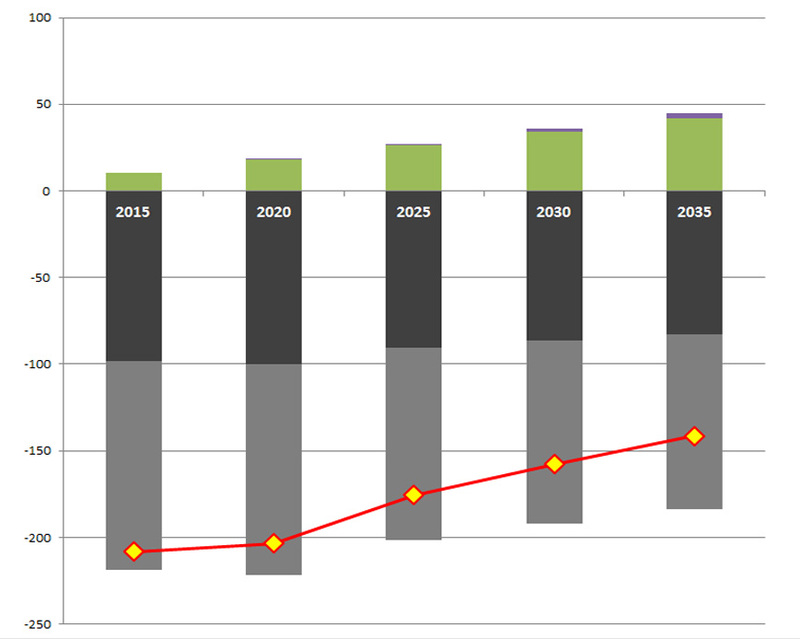 This analysis demonstrated how Sac State's 2015 Master Plan will enable the campus to generate approximately 35% of its building energy use from on-site renewable resources and identified a program for making further progress toward a net zero goal. 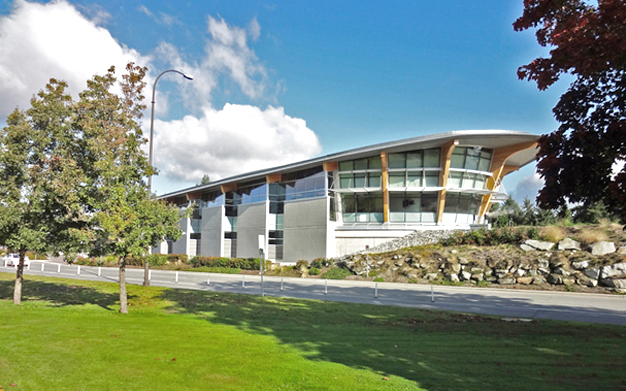 Completed for the 2010 Winter Olympics in Vancouver, this new U.S.-Canada border crossing proudly sports its LEED Gold certification with an eco-roof, extensive open space, daylighting for the interior, and high-efficiency systems. 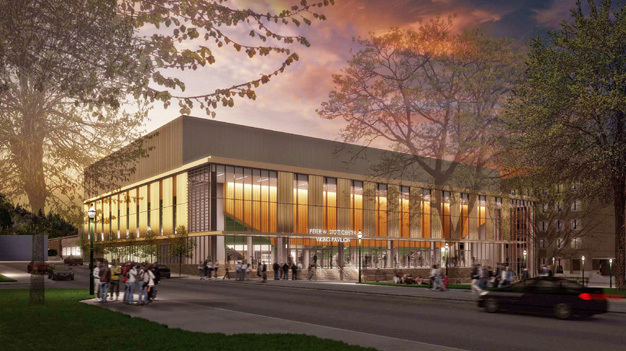 This major expansion and renovation to Portland State’s Peter Stott Center will bring campus a new arena for basketball and other events while adding height to the existing facility to accommodate new and expanded space for Portland State athletics. 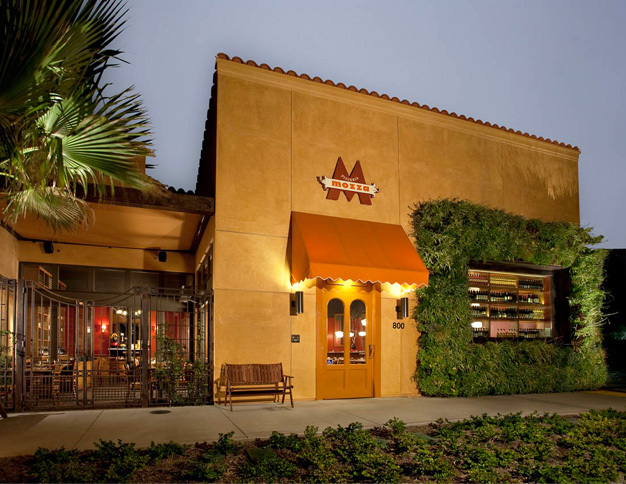 This eatery achieved LEED certification by conserving water, providing healthy interior spaces, and following sustainable operating procedures. All part of a new sustainability emphasis within Mario Batali's and Joe Bastianich's restaurant empire. 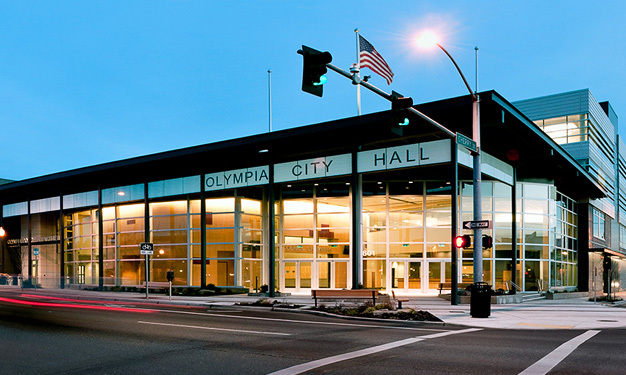 The City of Olympia retained Brightworks to evaluate the infrastructure, systems, and operations and maintenance practices of its facility portfolio to identify ways to improve operational efficiencies while reducing environmental impacts. 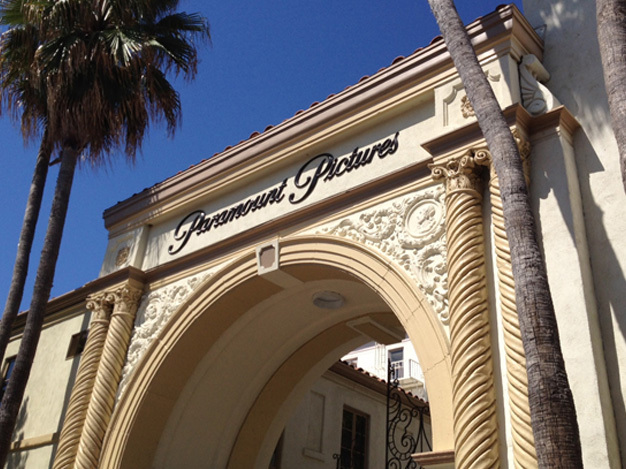 This new facility at Paramount Picture's new Post Production Village features two theatrical mixing stages, two audio pre-dubbing and QC stages, ADR and broadcast mix stages, and sound design and edit bays. 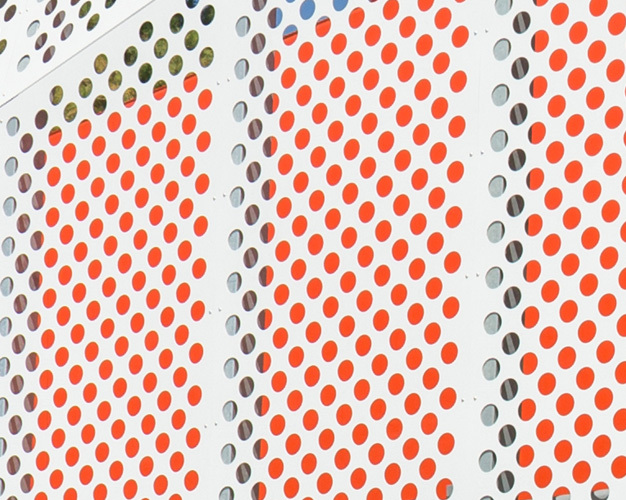 Facebook hired Brightworks to manage the LEED Gold certification effort and incentive applications for Facebook's first enterprise data center, an award-winning facility with paradigm-shifting technology and systems. Related is removing human and environmental toxins from its luxury apartments and condominiums. 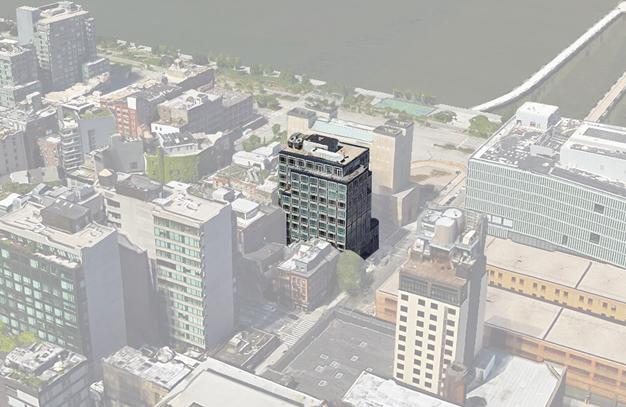 For this 47-unit building fronting the Hudson River, Brightworks is helping implement the program by specifying and reviewing proposed interior materials. Brightworks is managing the LEED for Homes Multifamily Midrise certification for these two neighboring, mixed-use buildings, acting as LEED for Homes Project Manager and Green Rater, and coordinating utility incentives for energy efficiency measures. 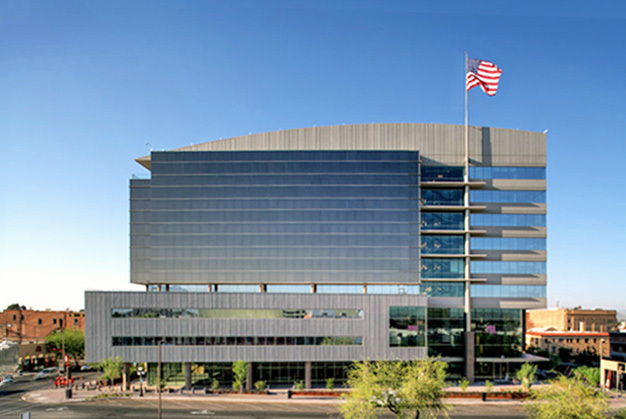 For the first LEED Platinum building in Riverside County, Brightworks joined Trammell Crow Company's successful team and helped earn this plaudit from the client: “The development of the new County Law Building has to be one of the most rewarding and satisfying experiences the Economic Development Agency has ever been a part of." 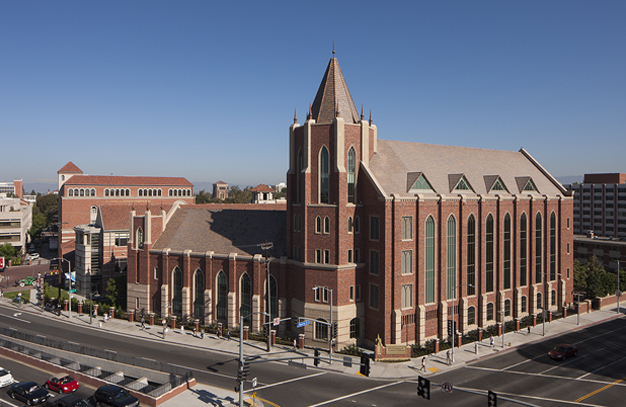 USC's first LEED certified building, the Tutor Campus Center reduces energy costs by $122,000 per year. 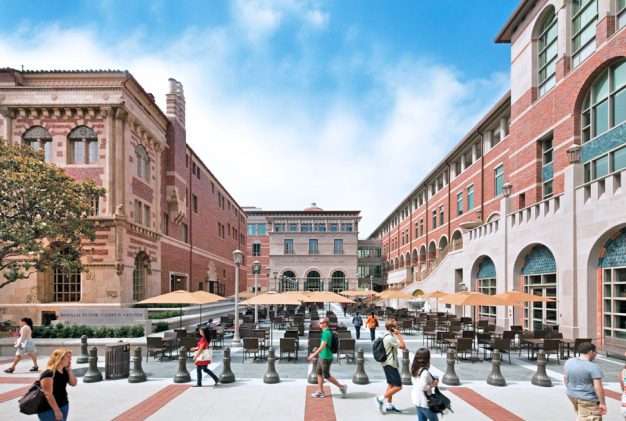 When removing existing buildings from the site to prepare for construction of the new center, USC diverted 98% of construction waste from landfills. 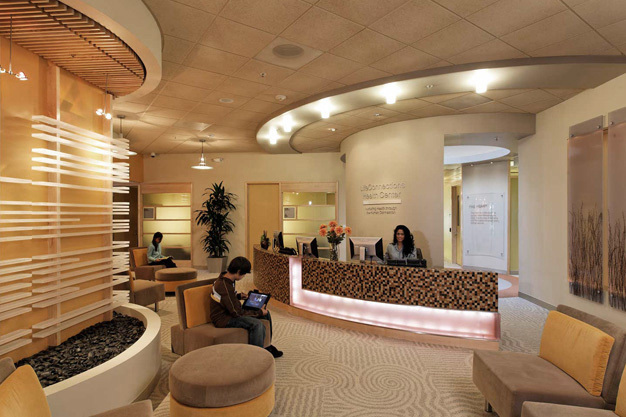 Brightworks is managing the LEED Gold certification program for this new UCLA Health medical office building. 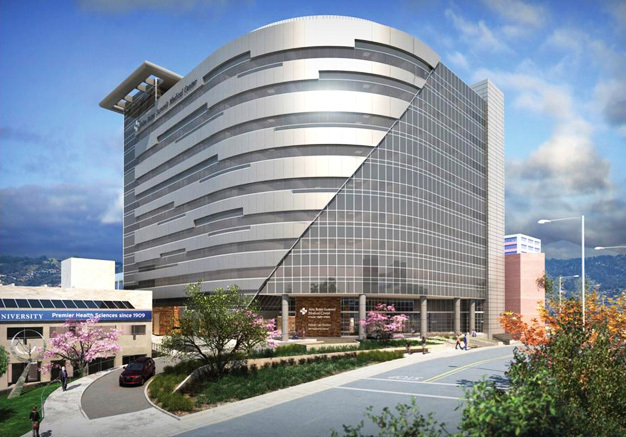 Phase 1 will provide a new Radiation Oncology Suite, followed by a G.I. endoscopy suite in phase 2, and a clinic in phase 3. 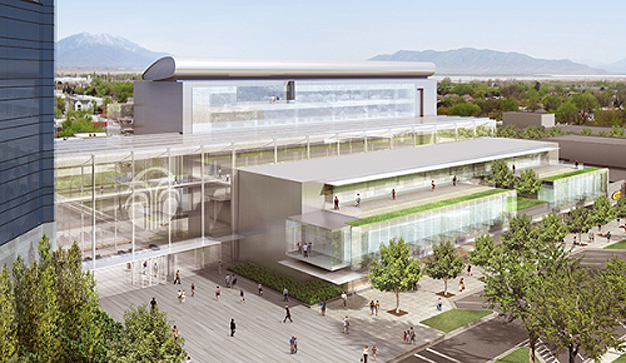 This 160,000-square-foot corporate headquarters and R&D center for new cancer therapies helps Santa Monica bring its Bergamot Area into being as the city and Los Angeles region prepare for the 2016 arrival of the new Expo Line light rail. 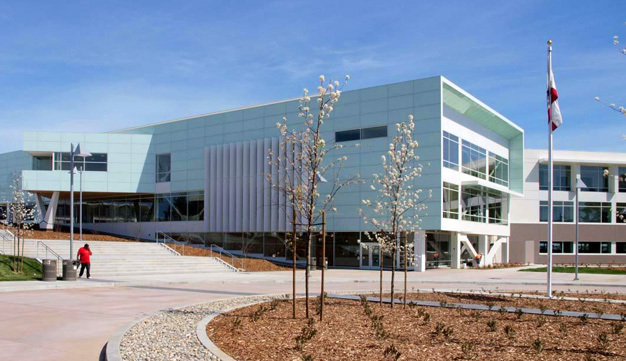 Santa Monica’s first LEED Platinum building, the Pico Branch Library was also the first municipal grey water re-use system in LA county, fulfilling Santa Monica’s 2020 water self-sufficiency plan. The building was awarded a 2015 USGBC LA Innovation Award. 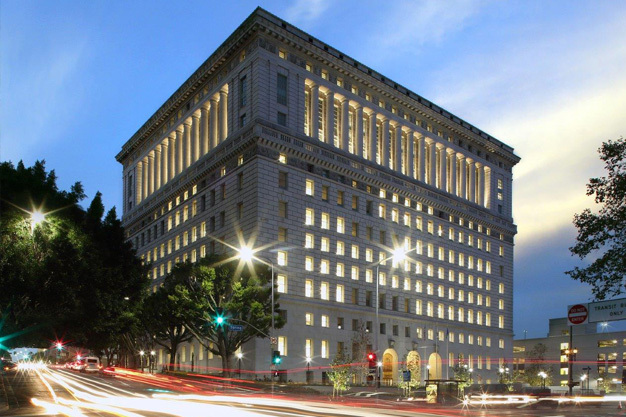 This sustainable renovation of a 1919 Federal building uses less water, produces less sewage, consumes less energy, and generates less solid waste than a conventional building, allowing it to achieve its ambitious LEED target -- Platinum certification. This two-story, 36,000-square-foot addition to Case Western's dental school aims to better support the school's pioneering research in biological science and public health by retaining and growing its top-tier research faculty and student body. 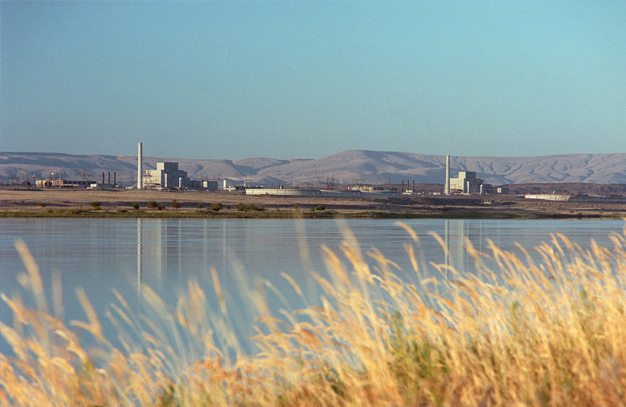 Following President Obama's Executive Order 13514, Brightworks audited the Hanford Nuclear Site's mobile source Scope 3 greenhouse gas emissions and developed a plan to reduce those emissions while reducing costs to Hanford and its employees. 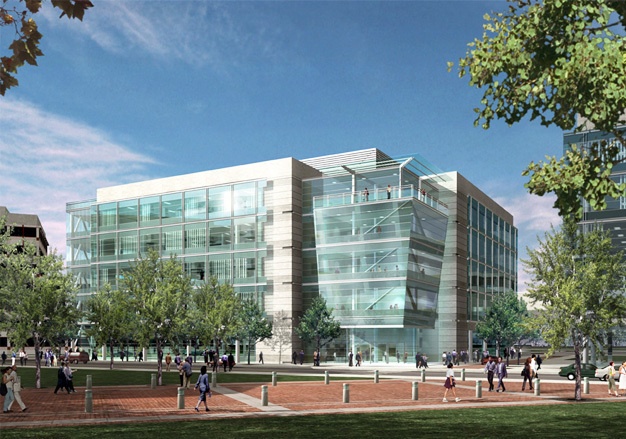 To be LEED and Labs21 certified, the new Seaver Life Sciences Center will provide LMU's biology, chemistry, and natural sciences departments with state-of-the-art classrooms, teaching and research labs, social spaces, and an auditorium. 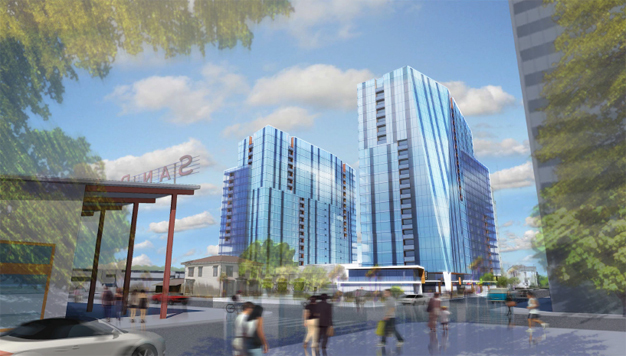 Rising 22 stories from a retail podium, the $200-million, 1,100,000-square-foot Silvery Towers development brings 643 market-rate apartments to downtown San Jose’s San Pedro Square arts and entertainment district. 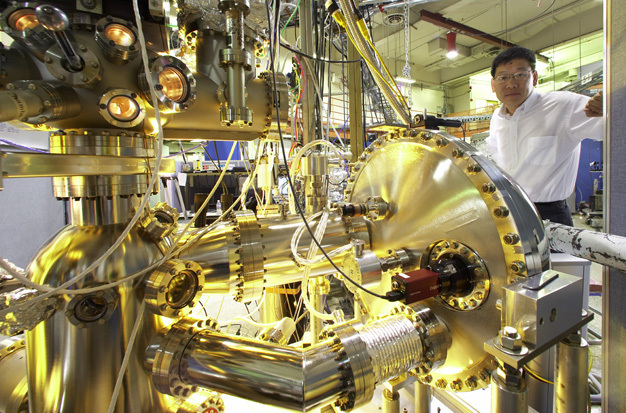 Operated by Stanford University, this new LEED Gold laboratory serves the Stanford Institute for Materials & Energy Sciences at the U.S. Department of Energy's SLAC National Accelerator Laboratory in Menlo Park, California. Pursuing a designation from the STAR Community Rating System (the first certification program for sustainable communities), the City of Beaverton asked Brightworks to provide technical services, develop narratives, and prepare STARS submittals. 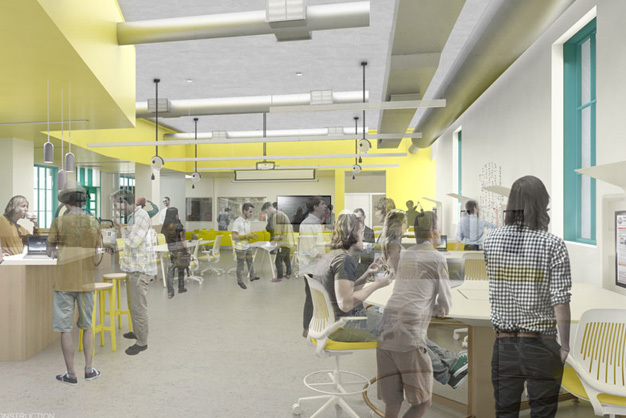 This open, lively, and sustainable expansion and renovation to San Jose State's student union will uplift the diverse student body and growing on-campus residential population. 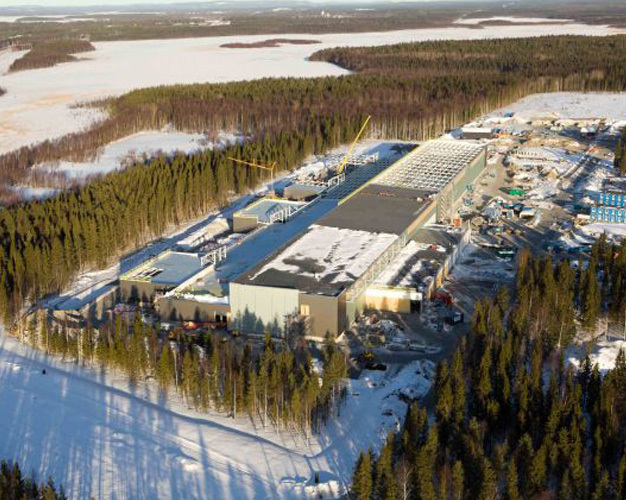 The sustainability program for this data center design and development began with a LEED v4 feasibility study before full-service certification management began. 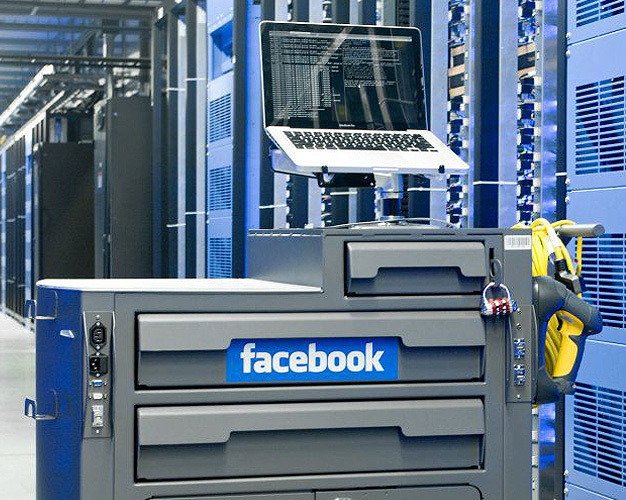 This will be Brightworks' fifth enterprise data center for Facebook -- all Gold or Platinum. 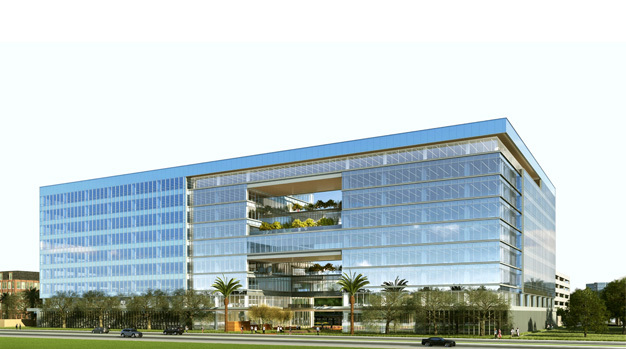 This innovative, Class A office campus includes two nine-story towers offering 545,000 square feet of office space, 5,000 square feet of restaurant-focused retail, and two acres of landscaped open space. Brightworks is managing the LEED Platinum program. 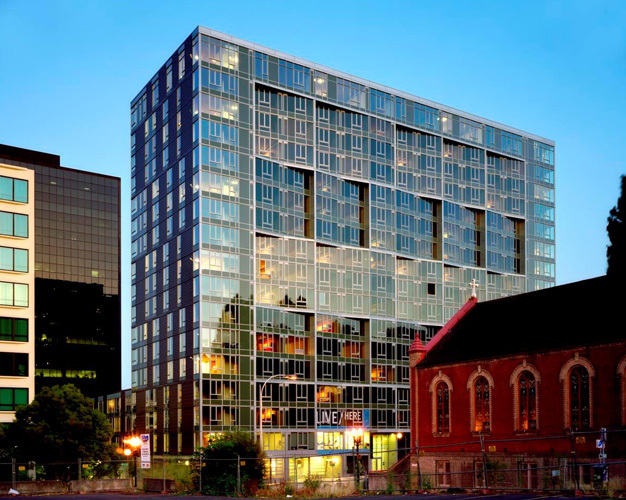 A ULI Global Award for Excellence winner, Portland's Brewery Blocks development includes a district energy system, the first LEED Gold certified condominium development in the world, and the first LEED Gold apartment building in the Pacific Northwest. The world's first LEED Platinum high-rise condominium building, The Casey employs heat-recovery ventilation, photovoltaic solar panels, and an eco-roof to achieve 52% energy savings and 32% water savings annually. This 50-story tower's primary tenant renewed its lease when the owner committed to LEED EB:O&M certification. In turn, the owner averted millions of dollars in lost income and turnover costs. In partnership with Healthy Buildings Solutions. 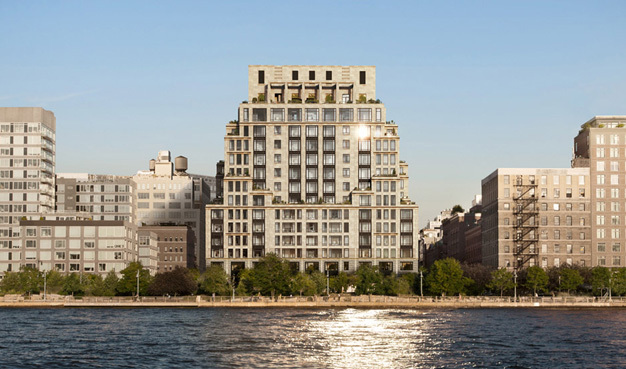 Brightworks is managing the LEED and healthy materials program for this new 47-unit condominium development in Tribeca, only three blocks from the Urban Glass House for which Brightworks is managing the LEED EB:O+M program. 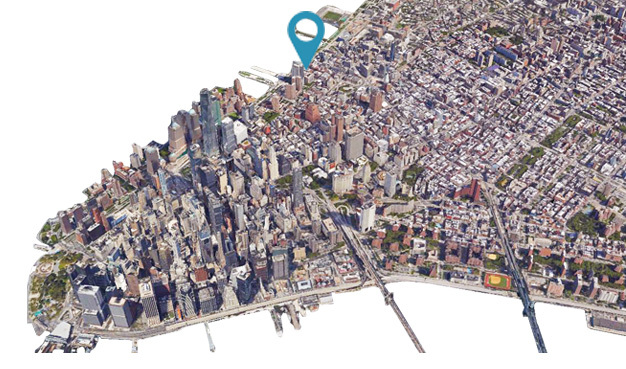 While managing the development’s LEED program, Brightworks is also managing the development’s resiliency program, helping it comply with New York’s resilience codes, enacted after lower Manhattan was crippled by Hurricane Sandy. 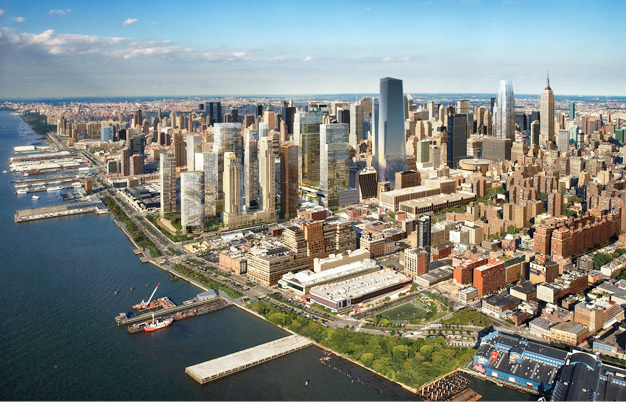 While managing this luxury development’s LEED program, Brightworks is also managing its resiliency program, helping it comply with New York’s resilience codes, enacted after lower Manhattan was crippled by Hurricane Sandy. Brightworks is providing design phase energy analysis, 2013 Title 24 compliance modeling, and LEED energy modeling for Trammell Crow Company’s Midpoint@237. To help UC Riverside comply with California AB 32 and UC Carbon Neutrality 2025, Brightworks developed a campus net-zero energy and carbon neutrality strategy while serving as lead sustainability advisor for a campus master plan. In the vibrant Uptown neighborhood close to Cleveland's Case Western Reserve University and art museums, this luxury apartment development offers modern luxury living in one- and two-bedroom apartments. Philip Johnson’s last comission, the Urban Glass House (so named for being the urban counterpart to his Modernist masterpiece in rural New Canaan, CT) will be only the third multi-family building to achieve LEED EB:O+M certification. 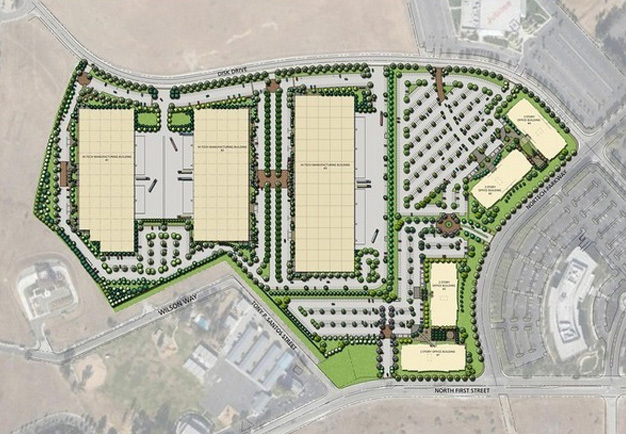 Sand Hill Property Company retained Brightworks to manage the LEED Platinum program -- and implement best practices from Sustainable SITES -- for this 58-acre, 16-building redevelopment of the failing Vallco Mall. 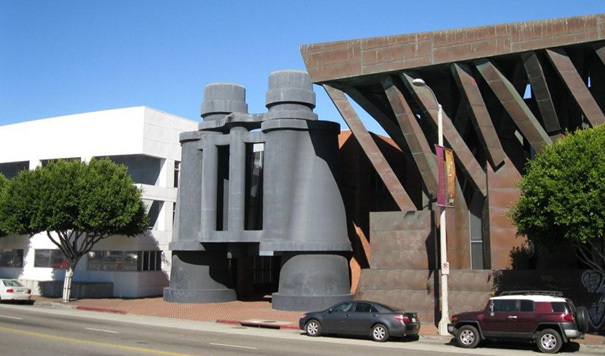 To house sales and engineering staff, Google purchased Frank Gehry's iconic Binocular Building in LA's beach-side Venice neighborhood. Brightworks then managed the LEED program for subsequent renovation work, resulting in Platinum certification. 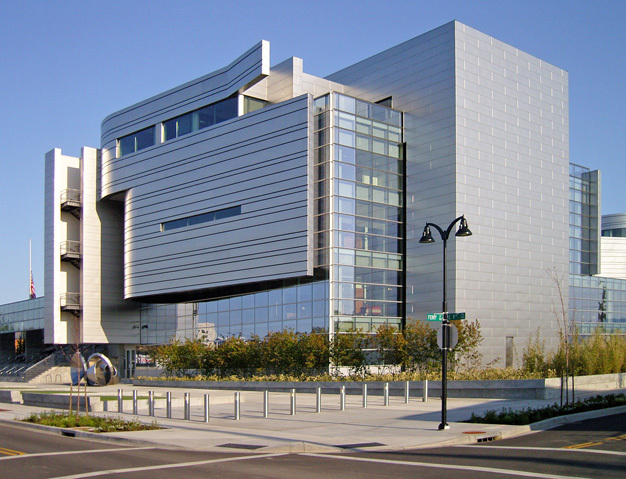 The first LEED Gold Certified Federal courthouse in the United States, this award-winning design also received the AIA Committee on the Environment's Top Ten Green Award in 2007. 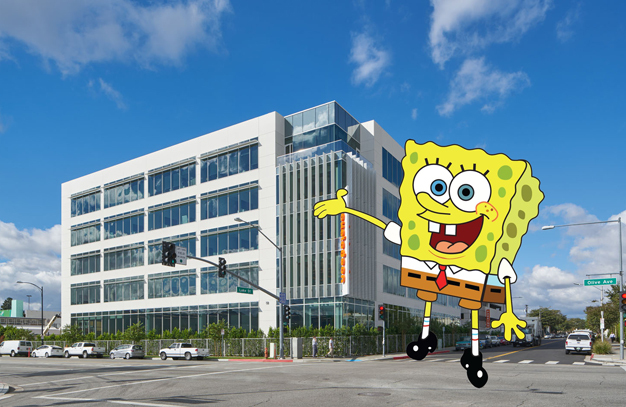 For the first time, Nickelodeon Animation Studios is uniting its employees in one vibrant, shared campus. Sited at the southwest corner of the UCLA campus adjacent to the bustling Westwood Village neighborhood, Weyburn Terrace provides 500 units of modern, healthy, daylight-filled sustainable housing for UCLA graduate students. Brightworks developed and led the Living Building Challenge-required biophilic design workshop for this Youth Conservation Corps Campus and will ensure and verify implementation of the measures selected by the client and the design team. Brightworks is managing the Living Building Challenge, LEED Platinum, and Healthy and Sustainable Materials program for two dorms, a commons, and out-buildings for the Yellowstone National Park Youth Conservation Corps' unique youth residential employment program. 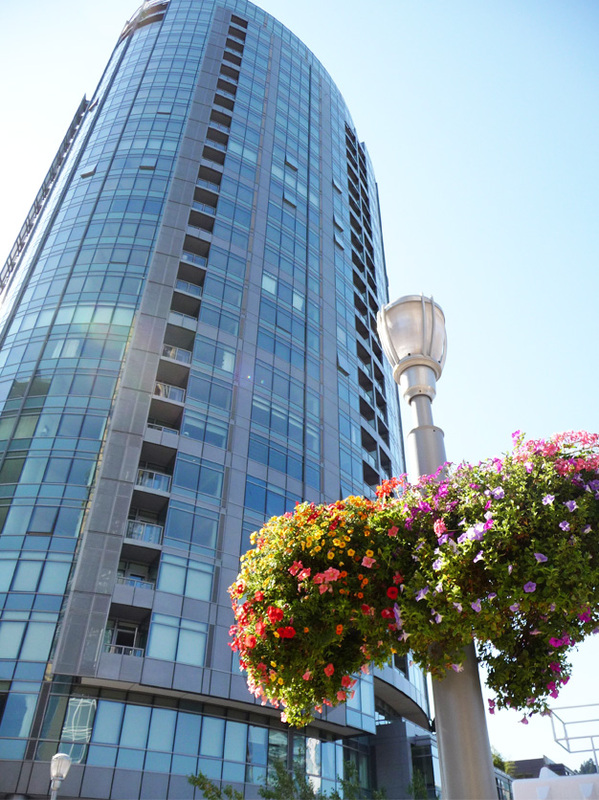 This new, 23-story high-rise apartment in San Jose is pursuing LEED Gold certification. Engaged from kick-off, Brightworks is assisting the team in prioritizing environmental performance strategies and managing tasks required to achieve certification. 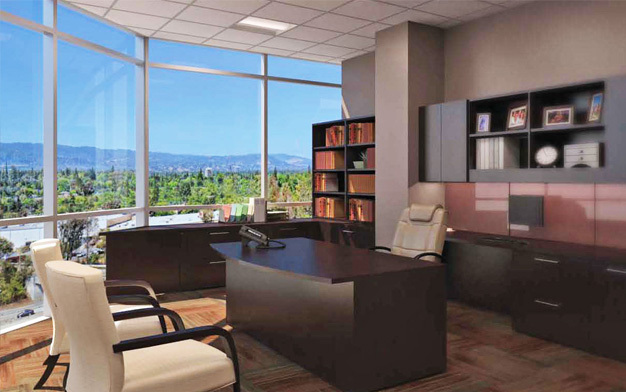 In addition to prioritizing environmental performance strategies and managing tasks required to achieve LEED Gold certification, Brightworks is managing the contractor's LEED scope for this new, 23-story high-rise apartment in San Jose. 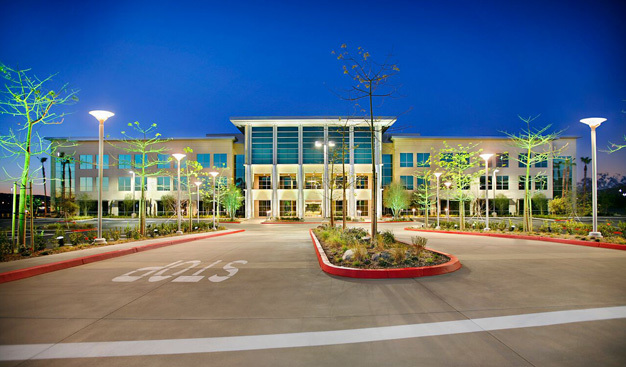 Brightworks performed an energy model to document that this new construction development in Sunnyvale, California is using energy efficiency strategies that make it equivalent to the requirements set by the LEED for New Construction rating system. 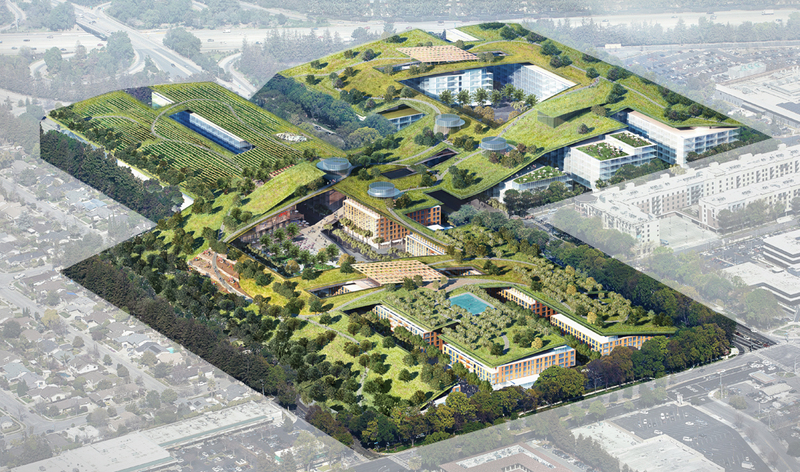 Google is adapting two existing buildings of 274,000 square feet for 14,000 staff to fulfill Google Project Requirements, achieve LEED CI, and implement a healthy and sustainable materials program. Google’s Project Requirements, a healthy materials program, and LEED CI certification will distinguish the TI to this existing, 119,000-square-foot office building, which Google is customizing (along with 1120 Mathilda) to house more than 14,000 staff. Google’s Project Requirements, a healthy materials program, and LEED CI certification will distinguish the TI to this existing, 155,000-square-foot office building, which Google is customizing (along with 1184 Mathilda) to house more than 14,000 staff. 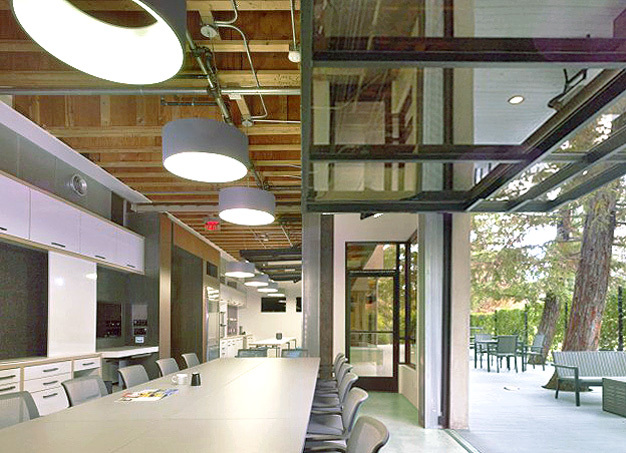 This office tenant improvement at Google's Googleplex headquarters received Gold certification under LEED for Commercial Interiors. Like many other Google buildings, it offers charging stations to encourage use of electric vehicles. 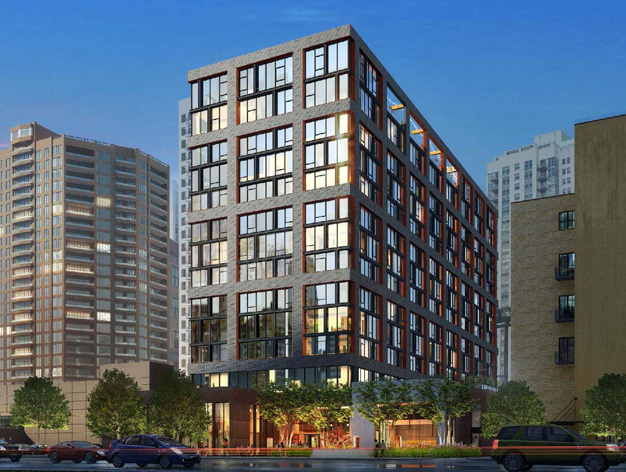 This 14-story residential tower will create 199 new residential units in the West Loop neighborhood of Chicago, as well as ground-floor retail, a roof-top pool, and parking. Brightworks will help developer Gerding Edlen achieve LEED Gold certification. 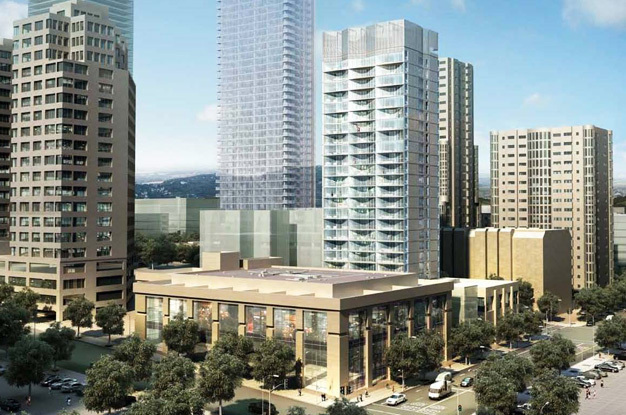 Rising 24-stories near the heart of Oakland and overlooking Lake Merritt, this mixed-use tower from green developer Gerding Edlen includes 200 residential units, ground-floor retail, five levels of structured parking, and a rooftop amenity deck. 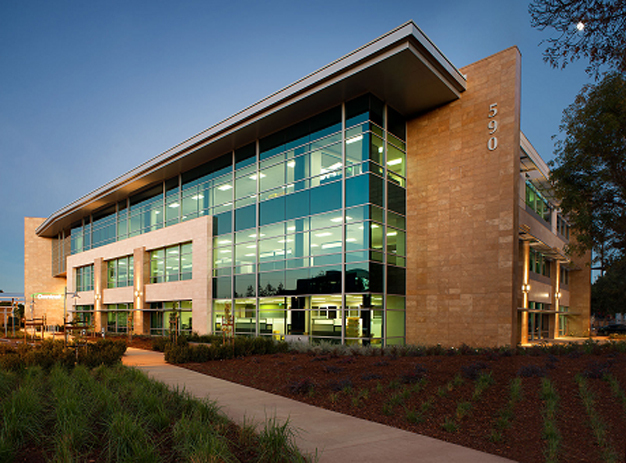 This new Stanford Real Estate development sits at the entrance to the Stanford Research Park. A health sciences start-up has selected this new, 116,000-square-foot building for its headquarters. An affiliate of the UCLA School of Medicine, the Olive View-UCLA Medical Center is slated to grow, with a new hospital, ambulatory care facility, and medical office building, for which Brightworks is defining a transformative sustainability program. This 22-story, Class A tower with over 450,000 square feet conserves 1.5 million gallons of water per year as part of the region's effort to live within its ecological limits. 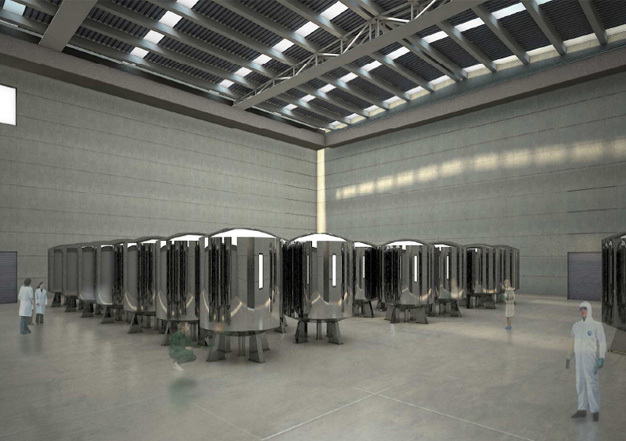 In addition, it features fully automated energy and HVAC systems. 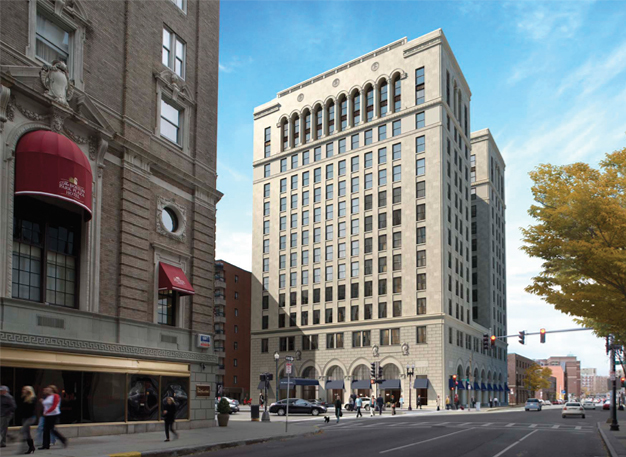 Brightworks is providing the energy model and LEED certification management for 100,000 square feet of office and retail space in this four story, core and shell office development. 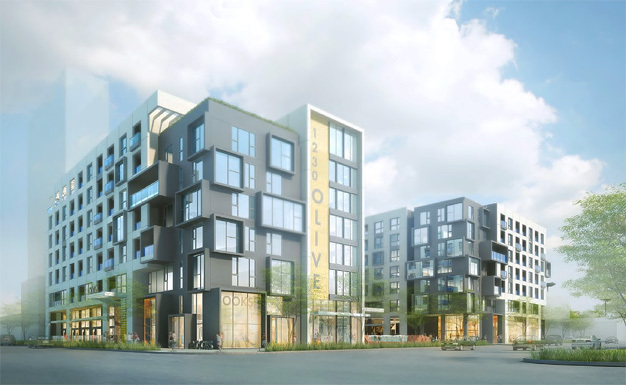 Brightworks will assist the project team to comply with the City of Oakland's Green Building Ordinance, including Title 24-2013, CALGreen and Green Point Rated certification, for this five-story building hosting 193 apartments and ground floor retail. This 3-story, 107,000-square-foot life sciences building is targeting LEED certification with a diverse set of sustainable design and operations strategies that will reduce costs, provide best-in-class lab space, and signal corporate citizenship. The two towers of this Boston development will house a total of 350,000 square feet of LEED Gold certified residential units. 275 Albany will significantly enrich Boston's South End, already one of the most vibrant neighborhoods in the U.S.
After receiving a stylish renovation to attract high-technology tenants, this 120,000-square-foot office building is now pursuing certification under LEED's Existing Buildings: Operations & Maintenance (LEED EB:O&M) program. 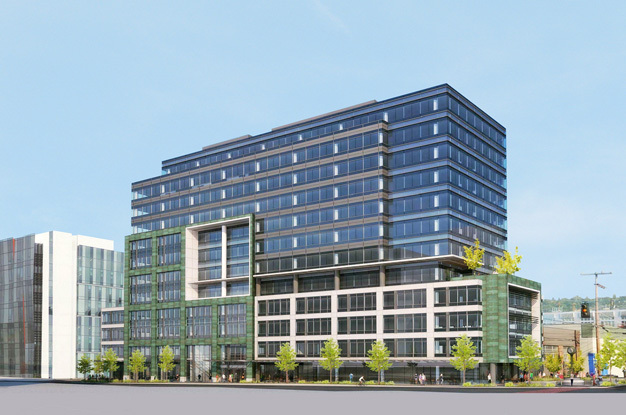 Brightworks' second development in Seattle's Architecture 2030 District, this new office building for Alexandria Real Estate expands Brightworks' work for the life sciences REIT, which also includes a new property in San Francisco's 2030 district. 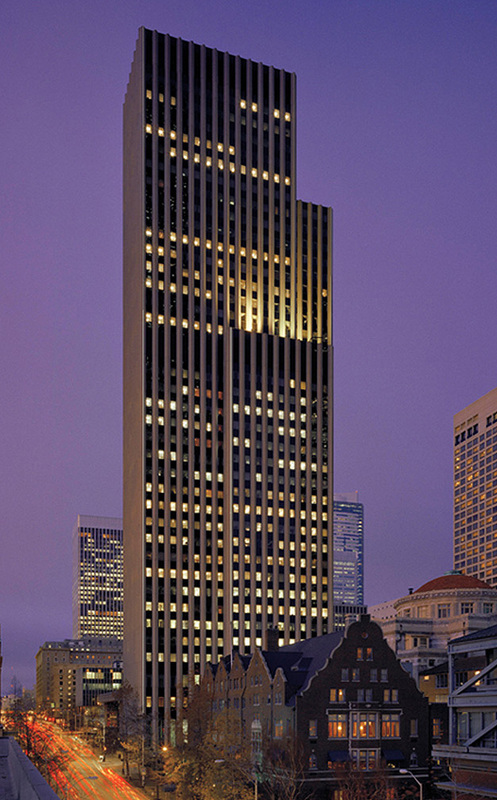 After achieving LEED EB:O&M Gold certification for this 925,000-square-foot tower in downtown San Francisco, Brightworks was retained by the property manager to plan the tower's recertification, required every five years by the LEED EB:O&M program. 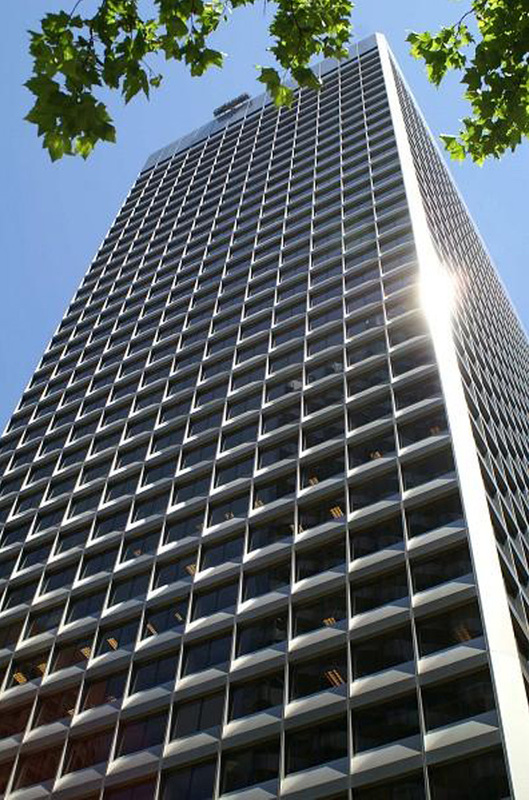 After successfully managing the Gold certification of downtown San Francisco's 425 Market Street tower (housing Cushman & Wakefield's Northern California headquarters), Brightworks is now managing the building's 5-year LEED EB:O&M recertification. The Gold certification of this 945,400-square-foot office tower in downtown San Francisco achieved simple payback in 1.5 years and an annual return of 67%. 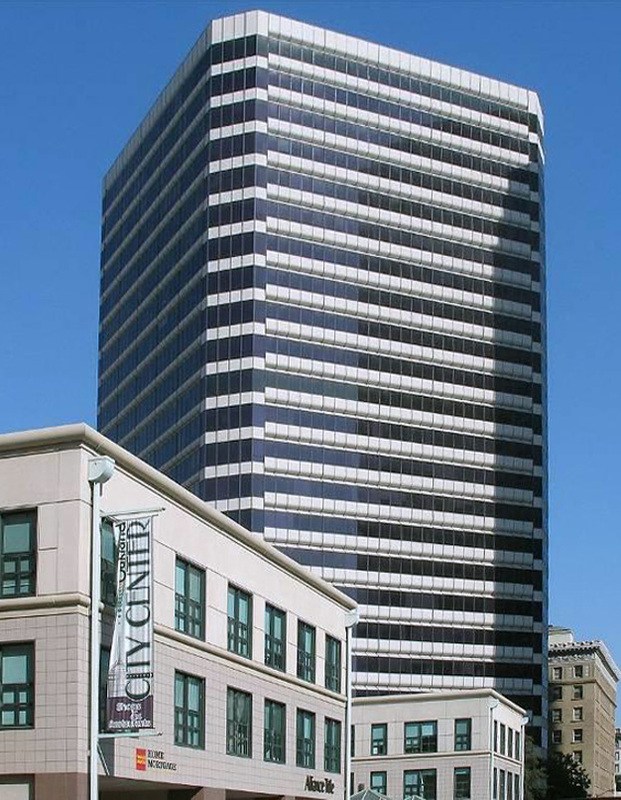 The building now houses Cushman & Wakefield's Northern California regional headquarters. This existing one-story office and research and development facility on a seven-acre site will undergo a major renovation and expansion to become a LEED-CS certified, Class-A creative office development with 25-foot-high ceilings and appealing amenities. While managing the LEED-CS certification of this office development, Brightworks will also perform an energy model to quantify and document its energy performance for LEED requirements, and a Measurement and Verification Plan to protect ongoing savings. 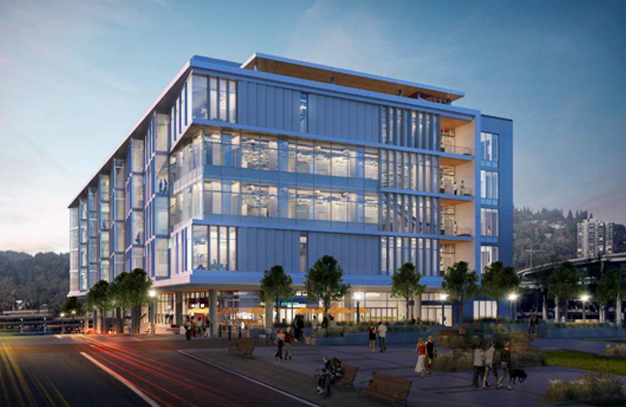 For this new life sciences center in South San Francisco’s East of 101 sub-area, Brightworks is managing the design and construction teams' LEED program. 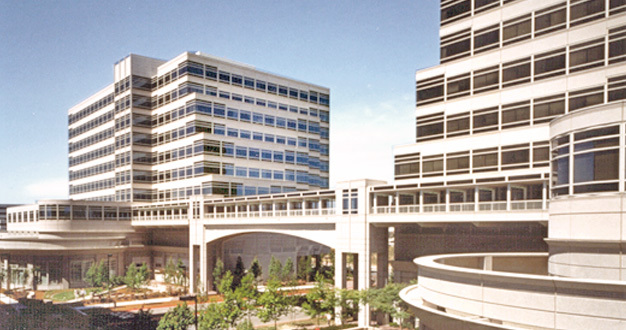 The S&P 500’s first healthcare REIT, HCP is the largest life science property owner in the Bay Area. While managing the overall LEED certification program for this new life sciences center in South San Francisco's East of 101 sub-area, Brightworks is also managing the general contractor-related credits required for LEED certification. 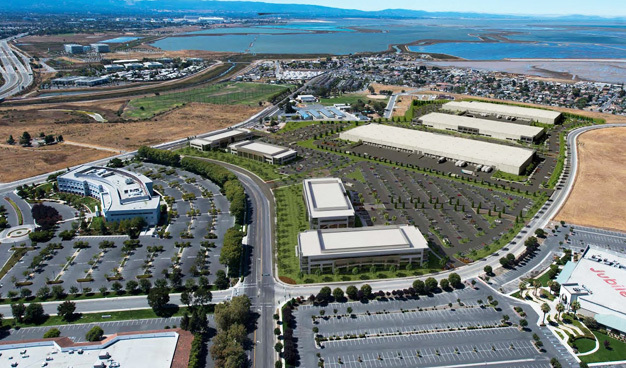 While managing the LEED program for this new life sciences center in South San Francisco’s East of 101 sub-area, Brightworks is also managing the Title 24 energy model. This 100,000-square-foot, 3-story speculative office building in Mountain View, California, targeted LEED Silver but achieved LEED Platinum instead. It is now the headquarters of Omnicell, which improves medication and supply distribution within hospitals. 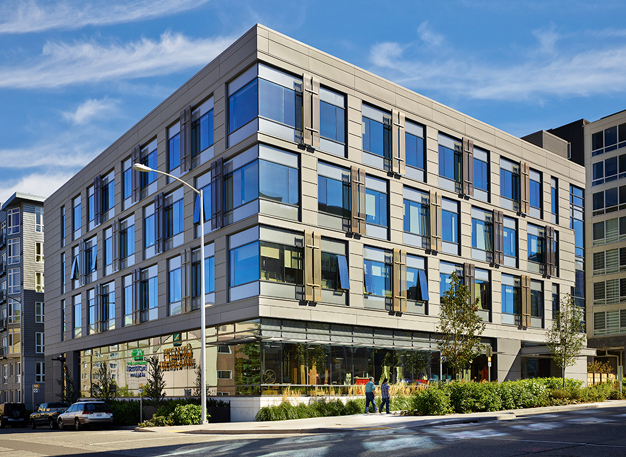 Brightworks was contracted to oversee the LEED CI certification for the tenant improvement of 129,000 square feet of office space in this new core and shell building, and to ensure compliance with the City of Menlo Park Green Building Ordinance. Brightworks' ENERGY STAR benchmarking services will help the owners of these mid-rise office buildings compare the buildings' energy performance with that of comparable structures. 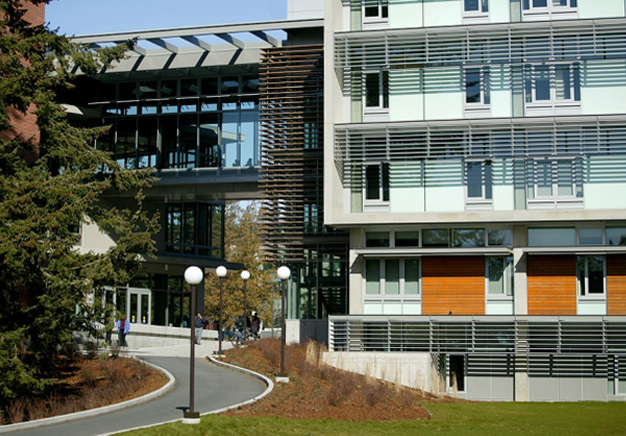 Western Washington University's Academic Instruction Center is projected to save over $50,000 per year in energy costs and conserve 85,000 gallons of potable water. 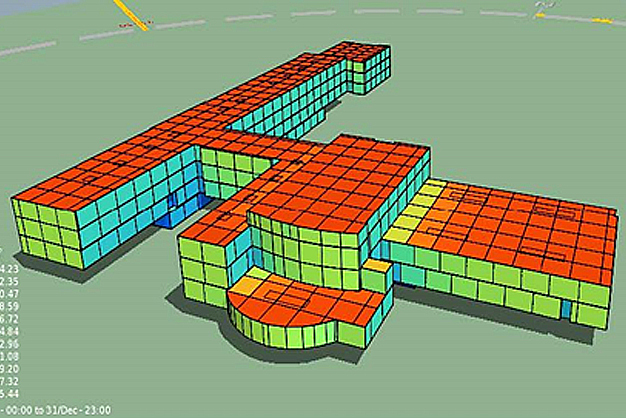 The design smartly optimized passive strategies, such as natural ventilation. 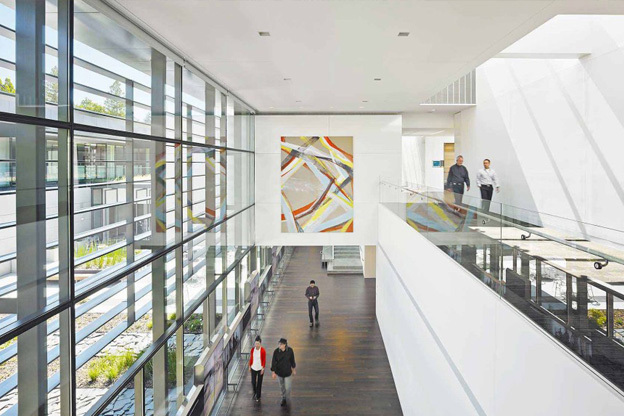 Covering three blocks in Oakland, California, the Alta Bates Patient Care Pavilion uses healthy interior finishes, fresh air, natural ventilation, and daylighting to fulfill its mission of patient care and wellness. 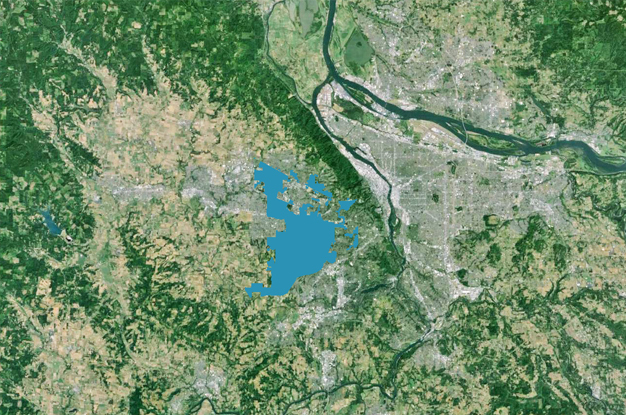 The district system study for this 600-acre development included an inventory of the site's water, energy, and open space resources; an assessment of potential district systems; a review of the development program; and a conceptual district energy plan. 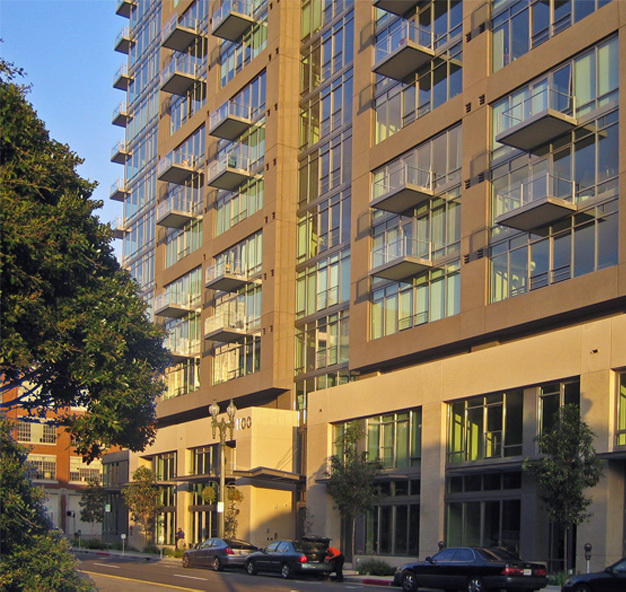 San Francisco's first LEED certified high-rise condominium, Arterra in Mission Bay offers tenants 20% energy use reductions, 40% annual water savings, healthy interior design, lighting and thermal control, views, and extensive transportation alternatives. 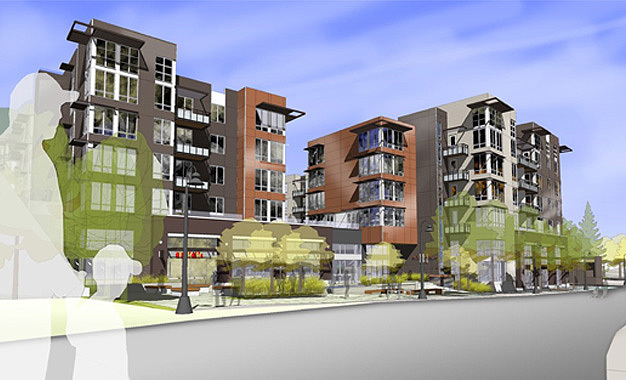 BRE Properties' Aviara Apartments bring new, vibrant, mixed-use living to Mercer Island in Lake Washington. A ground-level podium houses retail and support office space. A small business with a big corporate responsibility program, Town & County Markets asked Brightworks to help it eliminate adverse environmental impacts, maximize efficiencies, and enhance the customer experience in the renovation of its flagship store. 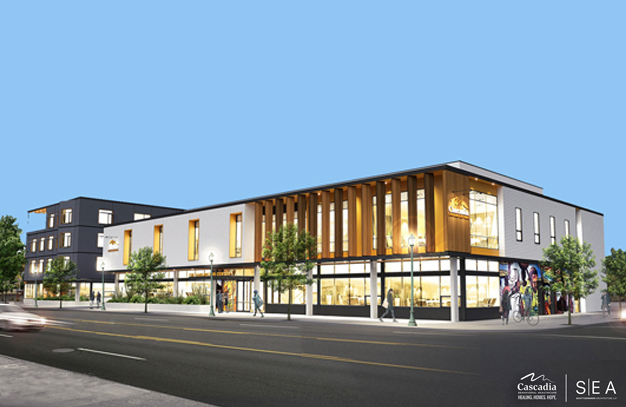 For this renovation to the Town & Country Markets flagship store on Bainbridge Island, Brightworks is supporting the general contractor and the design team in executing the LEED Silver certification program. This water audit of two buildings identified opportunities to save 12,341,850 gallons of potable water annually and reduce operating costs by $129,523. Located at the Boeing Bellevue campus, this 4-story, 108,000-square-foot building is undergoing substantial renovations to prepare it for the next generation of Boeing business operations. 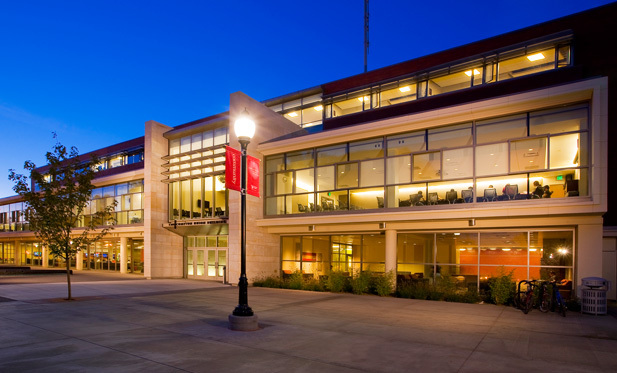 Pacific University's third LEED Gold Certified building, this 28,000-square-foot academic building reduces energy use by 35 percent and water use by over 200,000 gallons annually. Brightworks provided the general contractor of this new Healthpoint community health center with our LEED for Contractors service package, resulting in successful LEED Gold certification after a fun and collaborative process. The owner of this high-profile bottling plant acquired the existing facility from Coca-Cola, then asked Brightworks to verify that planned renovations could achieve LEED certification. The study provided a feasible strategy to do so. Brightworks' energy analysis for expansions to this BPA facility will enable it to achieve targeted energy performance 60% below ASHRAE 90.1 2004. To find the design with the lowest lifecycle energy use, this study examined the embodied energy, carbon footprint, and on-going energy performance of three alternative designs for Costco stores. 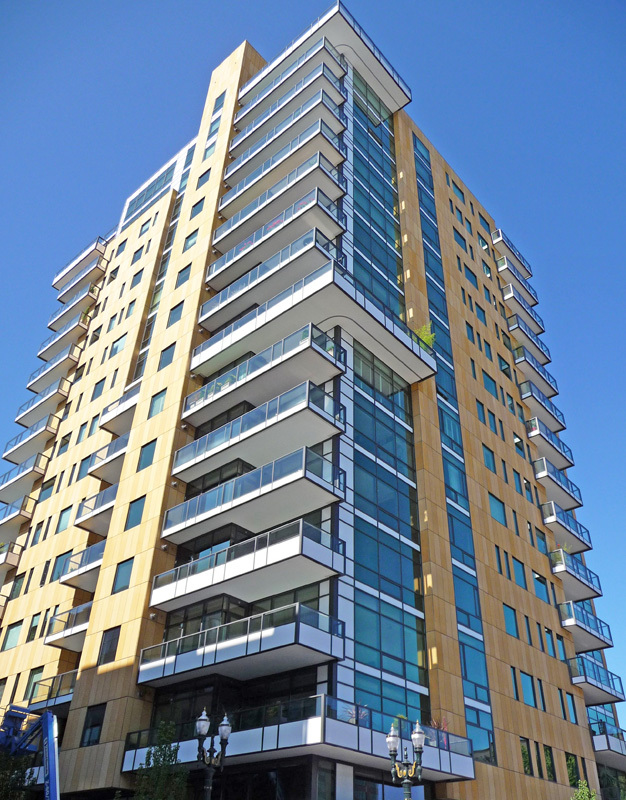 This mixed-use tower brings 16 floors of residential apartments, ground-floor retail, amenity space, and structured parking to the head of the Burnside Bridge, a Portland landmark crossing the Willamette River. The new home for SFO employees working in information technology, telecommunications, aviation management, parking management, revenue, finance, and accounting surpassed its initial LEED Silver target to achieve LEED Gold certification. 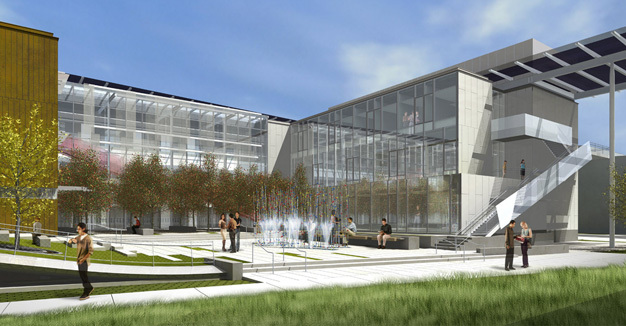 This 123,000-square-foot LEED CI program for SoCalEdison is being built concurrently with the encompassing core and shell building located within Cal Poly Pomona’s Innovation Village, for which Brightworks is also managing the LEED CS certification. Along with the LEED CI certification for tenant SoCalEdison, Brightworks is also managing the LEED CS certification for this 123,000-square-foot building at Cal Poly Pomona’s Innovation Village, developed by Trammell Crow Company. The California Conservation Core’s new 45,000-square-foot Youth Center will protect wetlands and prevent stormwater pollution to the 20-acre site. Ten new buildings will house residential, programmatic, recreation, utility, and administrative spaces. 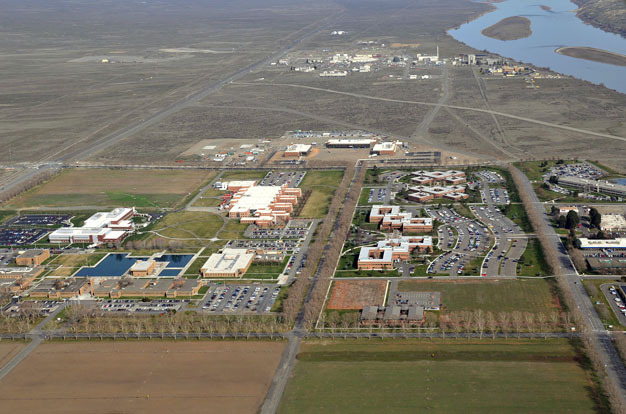 This 510,000-square-foot data center is part of Equinix's SV data center complex, which serves the highest concentration of technology companies with the largest peering hubs in the world. Equinix contracted Brightworks to oversee the LEED certification process for this 650,000 square foot data center, which is based on one flexible set of reference designs they will adapt and construct into four new data centers around the U.S. 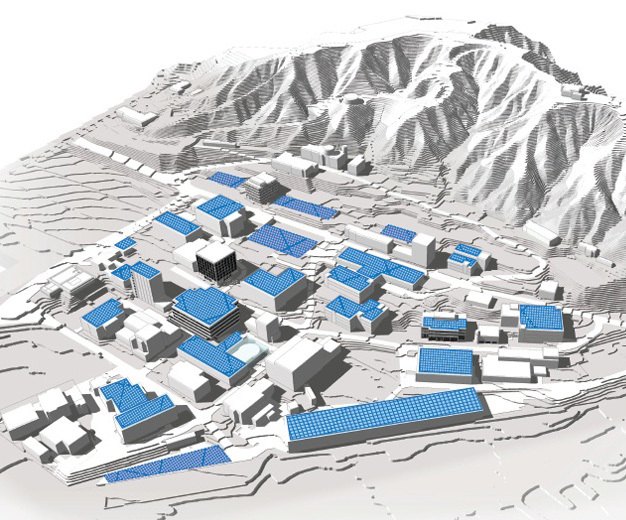 While planning an energy and carbon neutrality strategy for UC Riverside to fulfill the UC system's 2025 carbon neutrality pledge, Brightworks conducted this campus-wide solar study as part of MRY's master planning team. 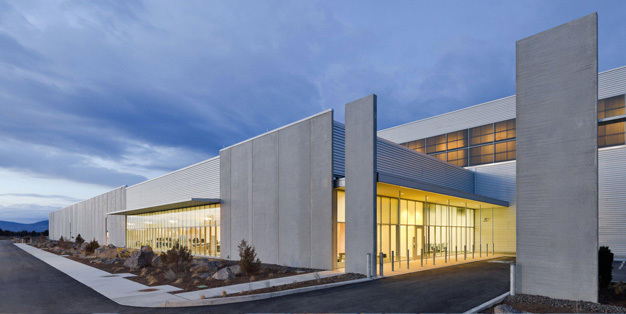 Part of Phase 1 of BMW’s new carbon fiber manufacturing facility in rural Washington state, this office & warehouse building, contains administrative office, laboratory, meeting, warehousing, and other spaces for this multi-phase manufacturing complex. 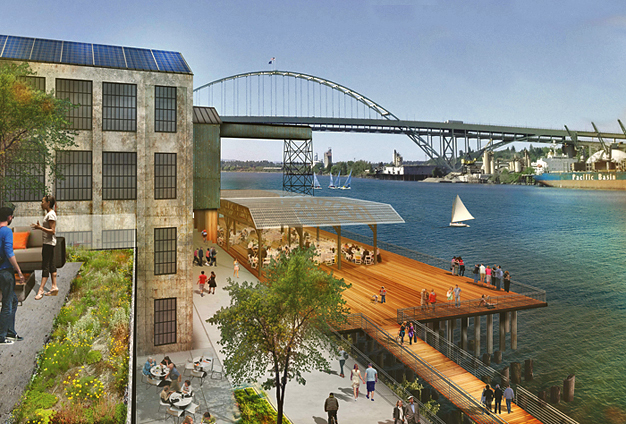 This public-private redevelopment of Portland's waterfront Centennial Mill will reinvigorate the historic landmark with vibrant residential, commercial, market, event, and outdoor space on a high-profile Willamette River waterfront site. 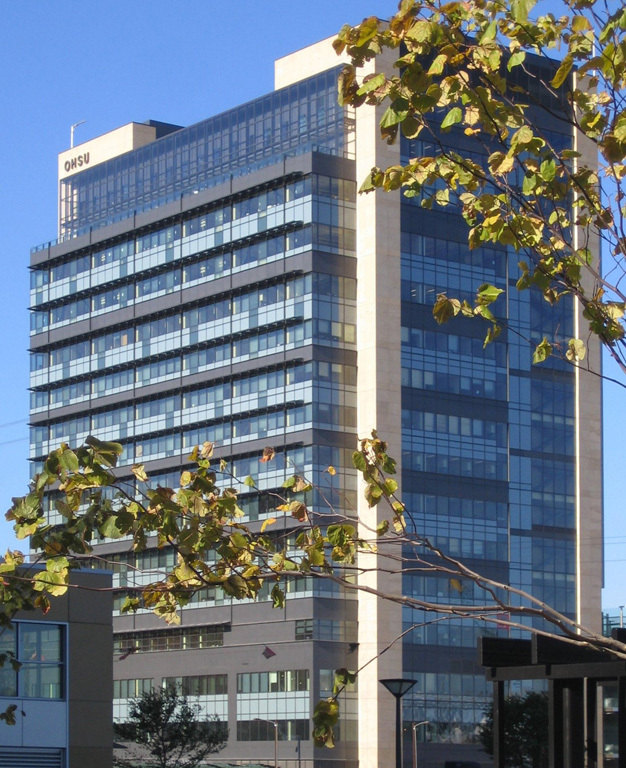 After managing the LEED Platinum certification process for this major high-rise medical office building, Brightworks partnered with the university and the CB Richard Ellis property management team to successfully implement a Platinum LEED EB:O&M program. The City of Berkeley's Center Street Parking Garage is pursuing Parksmart certification, a new program of the GBCI. Brightworks is providing LEED CS certification management and technical LEED energy modeling for this core and shell development of 95,000 square feet of office space, 8,000 square feet of ground floor retail and a luxurious 3,500-square-foot roof deck. The Mountain View Green Building Ordinance requires new construction to achieve LEED Gold certification. 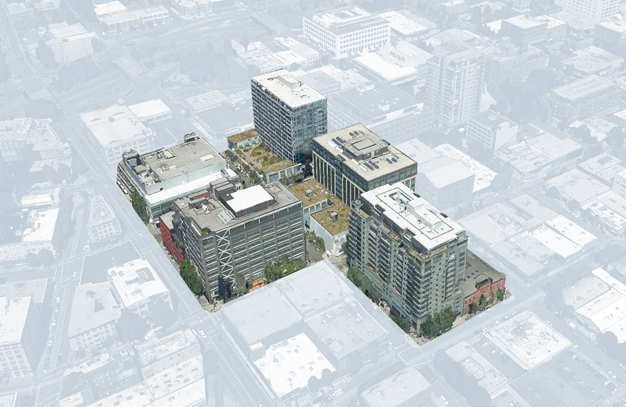 Brightworks is providing an assessment of obstacles and opportunities for a mixed-use core and shell development to meet municipal requirements. 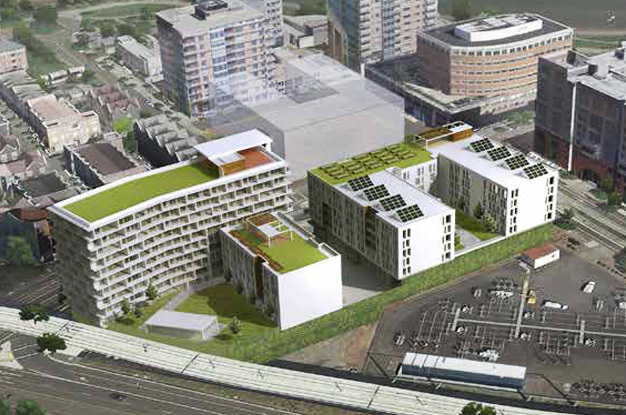 To take advantage of program overlap between GreenPoint Rated and the California Energy Code, Brightworks is developing the energy model for this multifamily residential development to achieve municipal compliance and access targeted utility incentives. Silver certified under LEED's Core and Shell program, this office building emphasized the selection of sustainable materials, such as 20% recycled materials, 25% regionally manufactured materials, and over 60% FSC-certified wood. The National Development Council pioneered a public-private partnership model for this LA County department headquarters. Efficient plumbing fixtures and xeriscaping reduce water use, while non-toxic materials provide staff a healthy indoor environment. 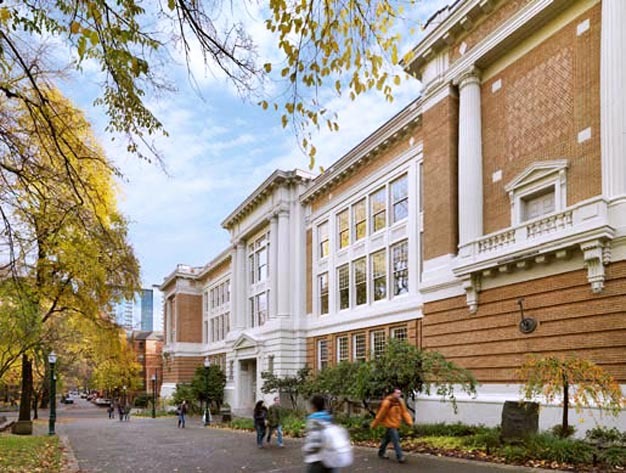 Washington State University's first LEED project, this major renovation to the university's 240,000-square-foot student union saves over $30,000 in energy costs and over 100 tons of carbon per year, compared to a conventional building. Data overload is common in the scientific and national security communities -- and a risk to the detection of threats. Data-intensive and high-performance computing hardware and storage solutions fill this advanced building. As this NASDAQ-listed client implements a global sustainability program, Brightworks is supporting the company's corporate facilities team as it establishes sustainability practices at headquarters and exports them to field offices around the world. Building on its experience at Los Angeles, San Francisco, Seattle/Tacoma, Honolulu, Maui, and Portland airports, Brightworks is providing a LEED peer review for San Diego International Airport's new ConRAC. Building on its experience at Los Angeles, San Francisco, Seattle/Tacoma, Honolulu, Maui, and Portland airports, Brightworks is providing a LEED peer review for El Paso International Airport's new ConRAC. Brightworks facilitated the Sea-Tac ConRAC design team in evaluating the LEED potential for this facility, managing the team's efforts to integrate environmental strategies into the design, ultimately achieving LEED certification. This 425-stall garage will offer Oregon Convention Center Hotel guests with parking, and give Trimet dedicated parking spaces in the busy Convention Center area. Brightworks will manage its Parksmart sustainability certification. This research and development space will provide new facilities for Cordis, a leader in cardiac medical products. Brightworks is managing the municipally-required CALGreen and LEED equivalency program for their ownership company, Cardinal Health. This 8-story, 318,000-square-foot office building on the new Juniper Networks corporate campus contains a two-story executive briefing center, a proof-of-concept lab, two full-service cafeterias, and corporate offices. 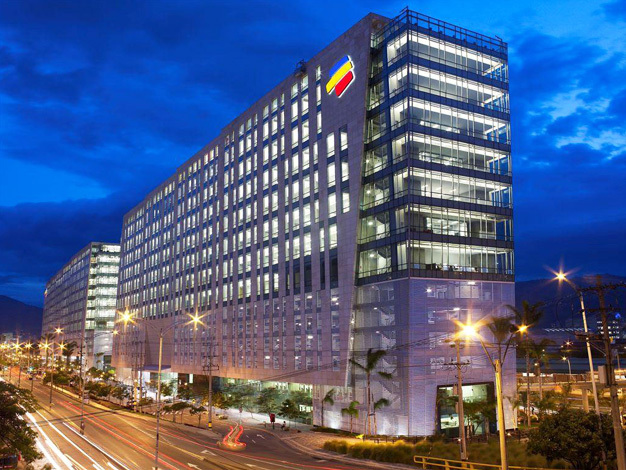 In this effort, Brightworks assessed the technical and financial feasibility of certifying the new headquarters of Colombia's largest commercial bank under LEED for Existing Buildings: Operations & Maintenance (LEED EB:O&M). After helping Visa achieve LEED EB:O&M certification of its corporate headquarters, Brightworks also helped the Visa headquarters achieve certification under the U.S. Environmental Protection Agency's Energy Star program. After first managing the successful LEED EB:O&M Gold certification of Visa's five-building international headquarters, Brightworks is now managing the re-certification of the headquarters, required every five years under LEED's EB:O&M program. The Platinum certification of Clorox's 400,000-square-foot headquarters achieved a three-year payback of all program costs, with annual operating cost savings of over $120,000 per year. 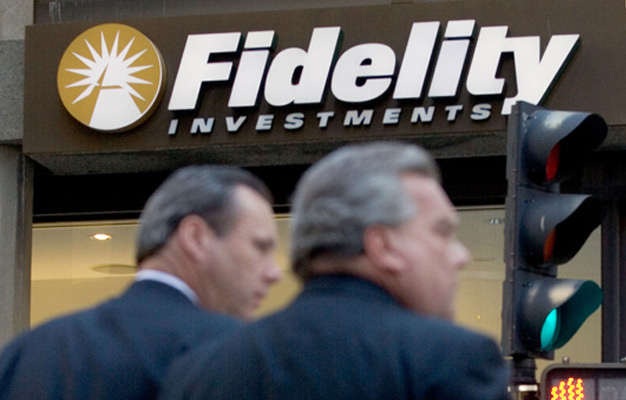 A shrewd investment paid off for this Fortune 500 company. Amazon Lab126 developed the Kindle tablet. To accommodate its growth and change, it leased 220,000 square feet in this building for its corporate offices and product development labs. Brightworks managed the LEED CI certification effort for the build-out. Amazon Lab126 is currently building out this 342,000-square-foot office space in Sunnyvale's Moffett Towers for much-needed R&D, product development, and office space. 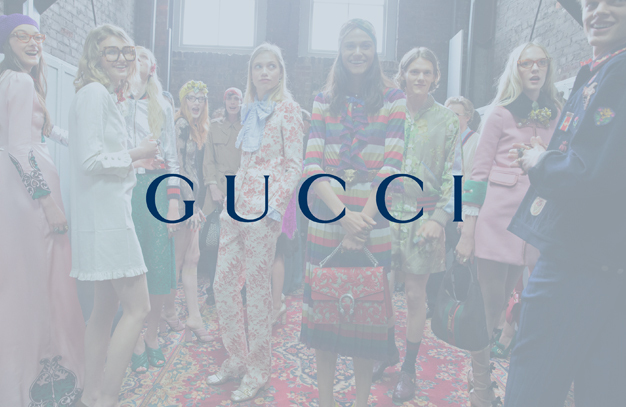 Brightworks is assisting Gucci as it continues to demonstrate leadership in sustainable fashion by achieving LEED for Commercial Interiors certification for this new, 12,000-square-foot store in Costa Mesa, California. Creekside@17 is a sleek core and shell commercial office building under construction in Campbell, CA. Brightworks will help the design team achieve CALGreen certification and LEED CS equivalency for this five-story, 172,000 square foot development. Powered only by electricity, this LEED Gold workforce housing development has the option to convert to 100% green energy if desired. One-third of the building site was restored with native landscaping. Plazas and gardens offer residents access to nature. 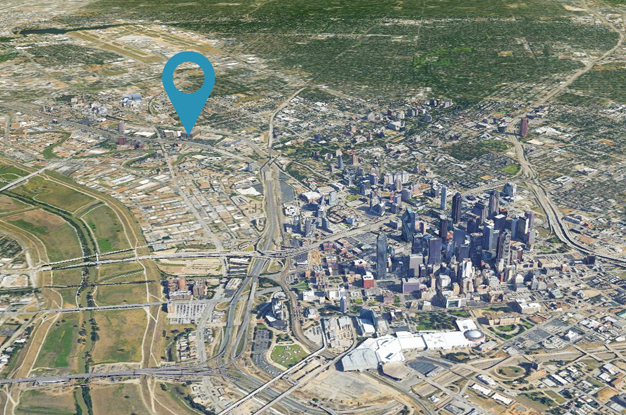 This new co-location data center in the Dallas, Texas, Infomart will achieve LEED Silver certification using an alternative compliance approach for data center LEED energy submissions developed by Brightworks with Equinix and GBCI. Benefiting employees and the environment, this LEED Platinum renovation helped the client reduce water use, increase daylighting and natural ventilation, optimize HVAC performance, and source regional materials with recycled content and minimal toxicity. On the model of Avon Cosmetics, Yanbal produces and distributes cosmetics and jewelry through a network of Latin American women entrepreneurs. Brightworks helped Yanbal select sustainable operations strategies that earned LEED EB:O&M Gold certification. The LEED effort for this Manufacturing and Distribution Center in Bogota, Colombia, launched a successful, long-term partnership between Brightworks and this global cosmetics brand. The strategic selection of sustainability strategies -- along with the project controls offered by Brightworks' LEEDWorks task management software -- allowed Caltrans to achieve LEED Gold certification for its Orange County headquarters. 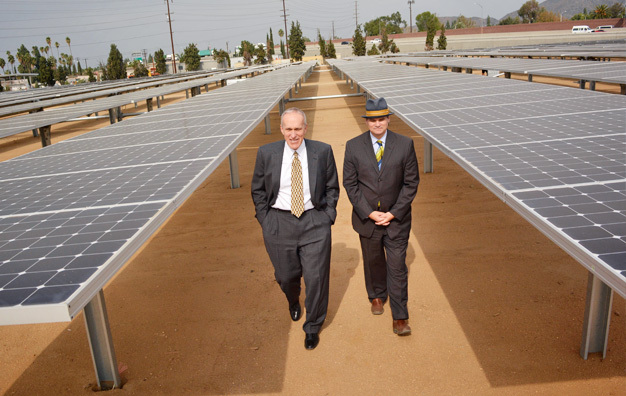 Los Angeles County only required this maintenance facility to achieve basic LEED certification. But with the LEED strategy developed by Brightworks, the project achieved LEED Gold certification at low marginal cost with high environmental benefit. 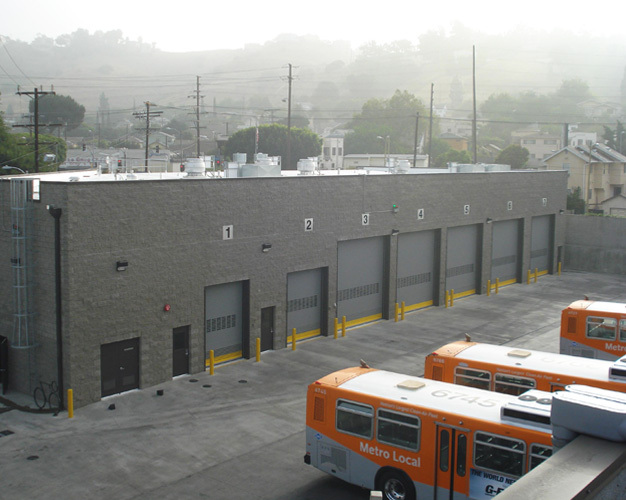 While fulfilling Los Angeles County MTA's LEED requirements, this maintenance facility renovation and addition also achieved 94% construction waste diversion and 43% regional sourcing for building materials, among other notable achievements. 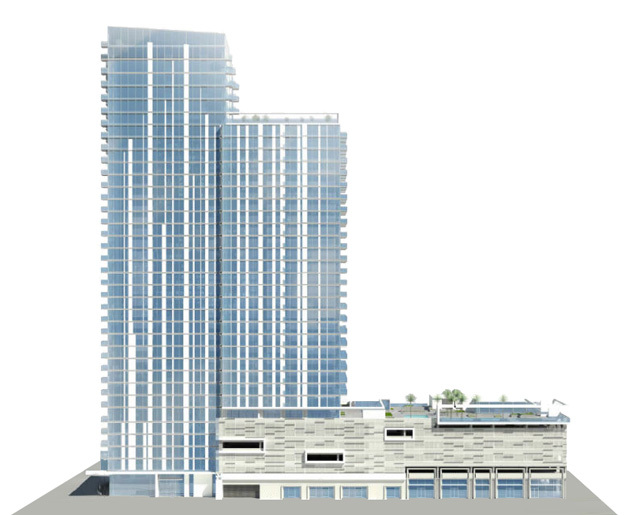 This conversion of a downtown Los Angeles surface parking lot into a 39-story, 448-unit, 420,000-square-foot condominium tower will aid in the continuing re-birth of LA's South Park neighborhood. 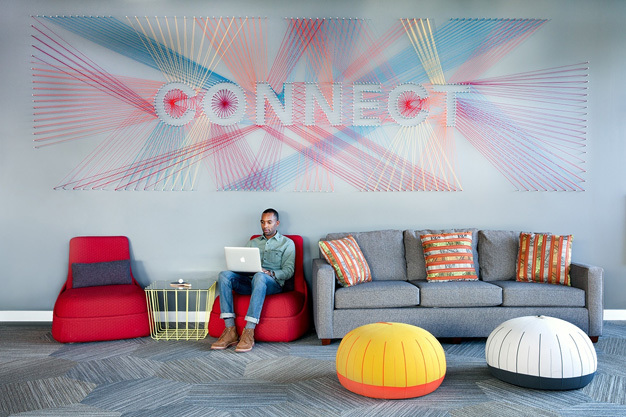 Brightworks continues its long history in LA's South Park neighborhood. 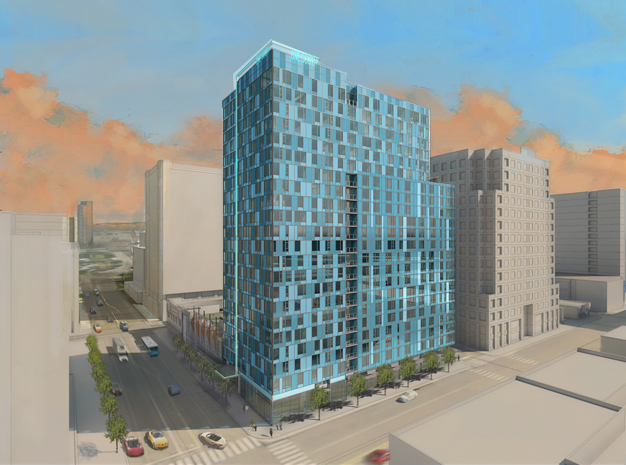 This workforce housing development will house 248 units in an 8-story building. This apartment tower near LoPresti Park on Boston’s inner harbor is the second major development in the renaissance of East Boston’s waterfront. 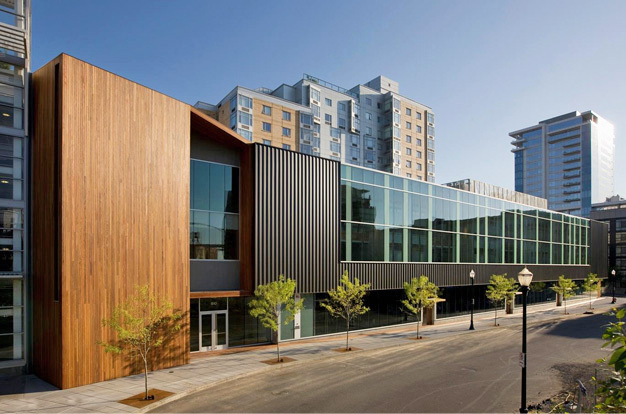 Heat recovery to temper the pool, advanced water filtration, low-flow fixtures, and an 87-kilowatt photovoltaic array helped this City of Portland community center achieve LEED Platinum certification -- proof that small buildings can realize large savings. The Egypt Nanotechnology Centre is located in a newly-constructed building on Cairo University's Extended Campus. It is being developed to advance Egyptian expertise in nanoscience and nanotechnology with the long-term goal of creating new businesses. 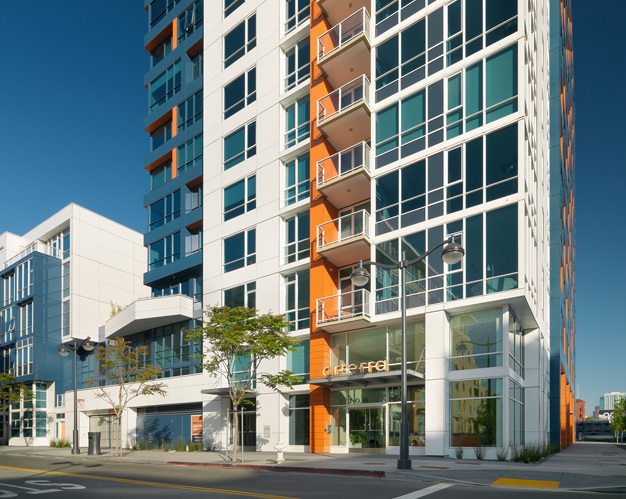 The first LEED Gold condominium development in California, this 13-story high-rise tower uses energy-efficient lighting, low-VOC paint, low-flush toilets, natural fiber carpets and plentiful windows that reduce the need for electric lighting. The interior spaces of two existing buildings (the former headquarters of HP’s Palm unit) will be modified to suit Google’s needs while achieving LEED CI certification and fulfilling Google’s Project Requirements and Google's Healthy Materials program. For our clients, Brightworks has earned over $11 million in incentives from utilities and public agencies. This Central Oregon dealer of Toyota's Scion brand asked Brightworks to provide technical documentation for a successful incentive application. After successfully delivering its new student health center under budget, USC asked Brightworks to assess the feasibility of retro-certifying the building under LEED for New Construction. The study demonstrated a feasible path to certification. 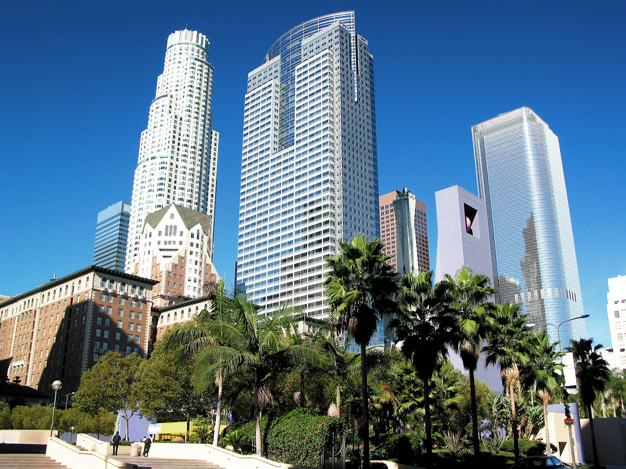 The third of three new mixed-use housing developments in downtown Los Angeles (along with the Elleven and Luma condominiums), this 23-story high-rise tower is projected to save more than $50,000 in energy costs and reduce CO2 emission by 200 tons per year. As Facebook replaces conventional toxic materials with healthy and sustainable materials, Brightworks is helping implement the program in its new Iowa data center and new Menlo Park corporate headquarters. As Sac State develops its facilities master plan, Brightworks is crafting a framework the university can use to guide implementation of energy efficiency, environmental, and social programs, focused on water, waste, transportation, and open space measures. 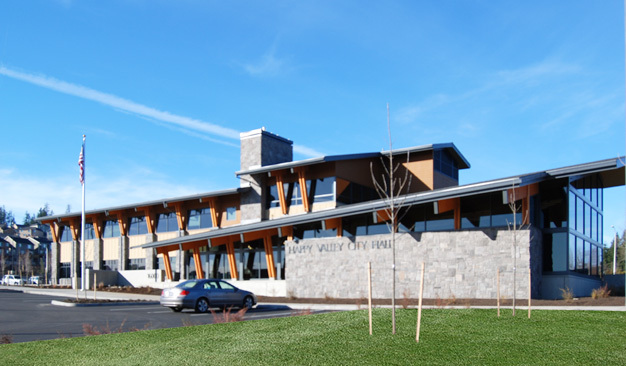 Pursuing Green Globes certification, this 27,000-square-foot, free-standing, build-to-suit clinic in Fairview, Oregon, will house a U.S. Department of Veterans Affairs Community-Based Outpatient Clinic (CBOC). The energy model for this new U.S. Department of Veterans Affairs (VA) community clinic verified the performance of several advanced systems, including an LED lighting system, a variant refrigerant flow system, and a high-performance building envelope. While providing LEED for Healthcare certification management and energy modeling for this new U.S. Department of Veterans Affairs (VA) community clinic, Brightworks also managed the process to obtain incentives for its energy-efficiency measures. 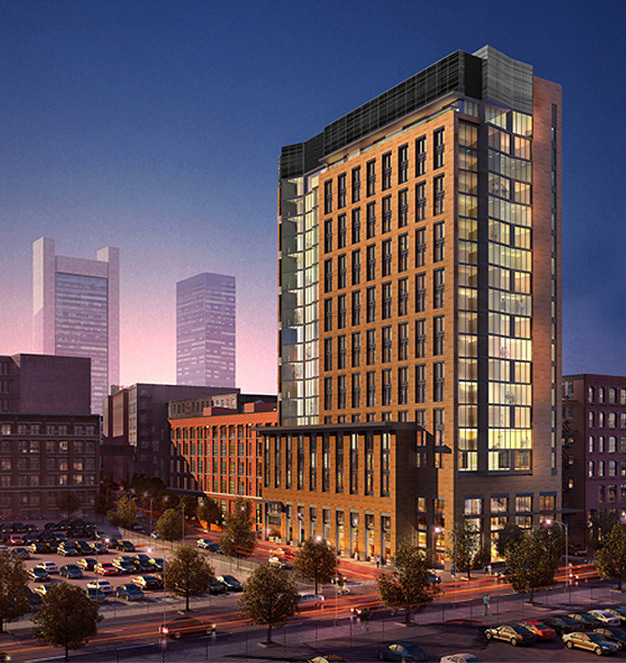 Fenway Center brings over 300 units to Boston near the historic Fenway Park. 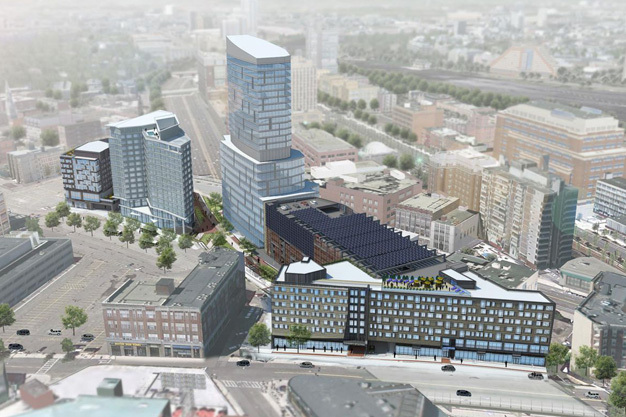 The transit-oriented development sits directly adjacent to newly-improved Yawkey Commuter Rail Station and one block from the MBTA Kenmore Square and Fenway Green Line Station. 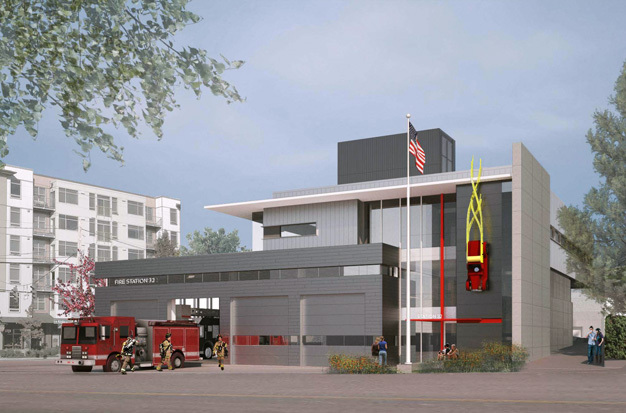 Rainwater capture, solar hot water, high efficiency fixtures, and solar readiness will help this new, 25,000-square-foot, 24-hour replacement fire station in West Seattle reach its ambitious LEED Platinum certification target. 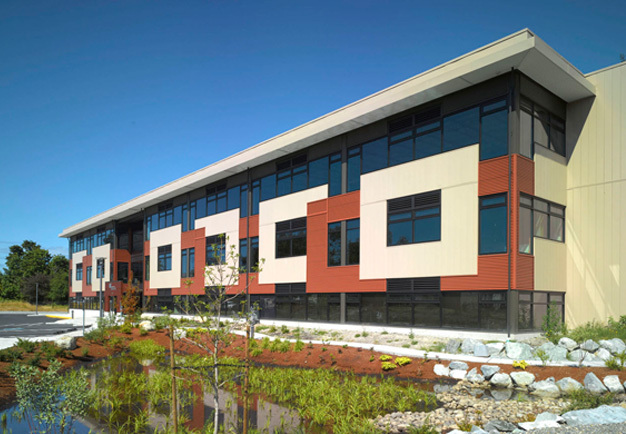 This investment-grade, Class A office tower on Portland's waterfront provides habitats for native plants and wildlife, recycles rainwater to reduce the burden on Portland's overtaxed stormwater system, and reduces energy costs $77,900 per year. 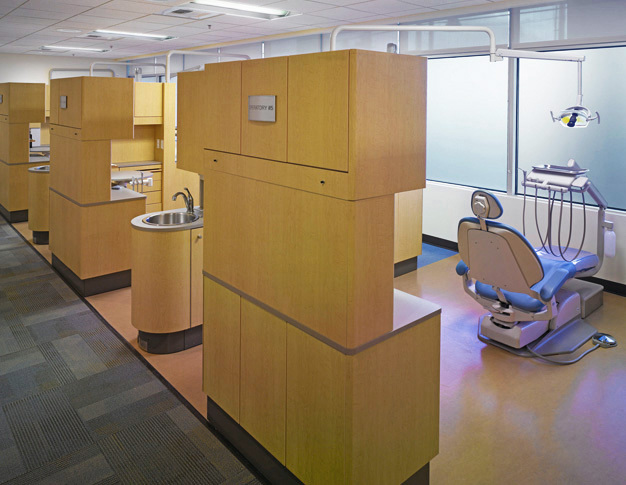 To help comply OHSU comply with with NIH G20 grant requirements, Brightworks assessed this renovation's potential for LEED and Labs 21. 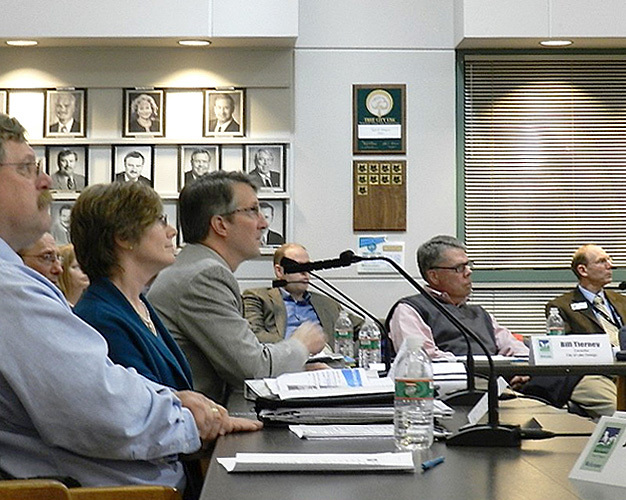 The evaluation also examined cost impacts to the project budget and recommended alternative sustainability strategies. For Facebook's Forest City, North Carolina, data center, Brightworks is coordinating Facebook's application for incentives from Duke Energy for energy innovation and demand reduction. Rising 25 stories and located in San Francisco’s Transbay neighborhood, this boutique tower will bring 118 studio, 1-bedroom, and 2-bedroom apartment units to downtown San Francisco. Brightworks is managing the Green Point Rated and CALGreen programs. 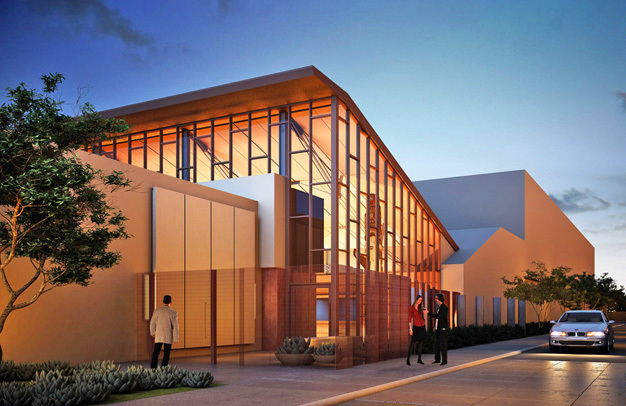 While serving as the EarthAdvantage project steward for this 29,000-square-foot wellness center and clinic offering medical and behavioral counseling spaces, Brightworks is also developing the energy model for the project. Brightworks provided a goal-setting charrette for the development team creating the Grant Warehouse, a six-floor mixed-use multifamily affordable housing project pursuing certification under the LEED for Homes Midrise rating system. This new, 132,800-squre-foot student residence will replace an existing but obsolete dorm building with state-of-the-art space for 432 residents and a retail space for the Wolf Store. The project will be completed in August of 2017. 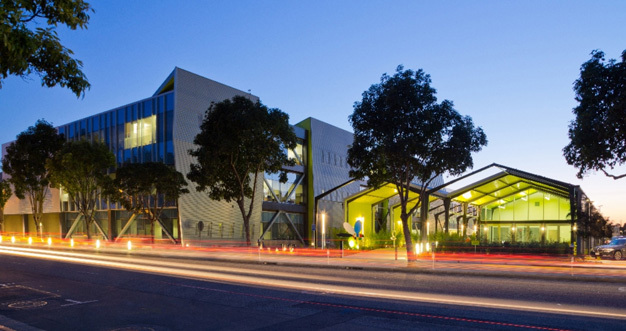 Brightworks was contracted to help the City of Santa Monica update its Green Building Guidelines by providing research on how other City policies overlap with CALGreen and LEEDv4 requirements, so the City can create a recommended "Path to LEEDv4 Gold." Brightworks evaluated 20 Hanford Nuclear Site buildings and offered technical recommendations to bring them into alignment with Federal Guiding Principles for High Performance Sustainable Buildings. This historic building in downtown Los Angeles -- which played a prominent role in the lives of Robert Kennedy, Marilyn Monroe, and other Southern California luminaries -- is receiving a major renovation targeting LEED Gold certification. 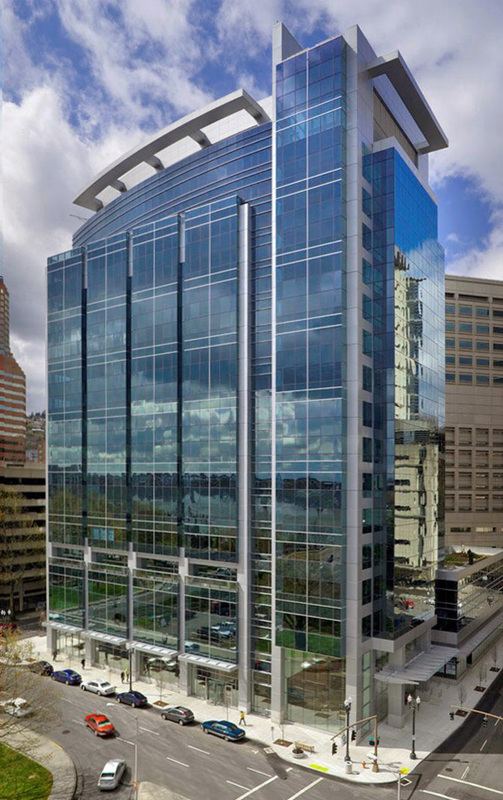 Brightworks helped the U.S. General Services Administration assess the feasibility of achieving LEED for Existing Buildings certification for this 589,000-square-foot Federal Courthouse in downtown Portland. This LEED CI Gold renovation brought office, cafe, and fitness space for Seagate Technology to an existing building in Cupertino, California. With Prudential Real Estate Investors, Brightworks completed a study of the feasibility of achieving LEED EB:O&M certification for PetSmart's corporate headquarters. This Health and Wellness Center houses workforce programs in cosmetology, dental assisting, and nursing. 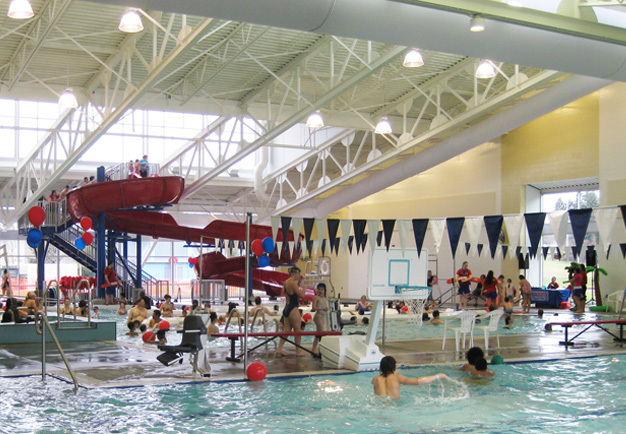 It also shares space with the Kinesiology/Athletics/Dance division and the San Mateo Athletic Club and Aquatics Center. 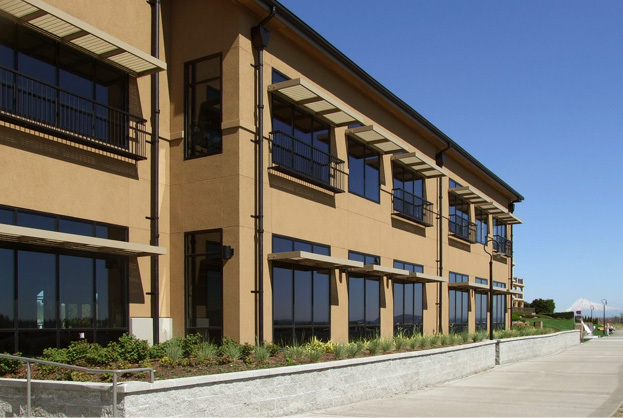 Pacific University's Health Professions campus provides state-of-the-art classrooms for physical therapy, occupational therapy, physician assistant studies, dental health science, and pharmacy, as well as new spaces for optometry and psychology clinics. 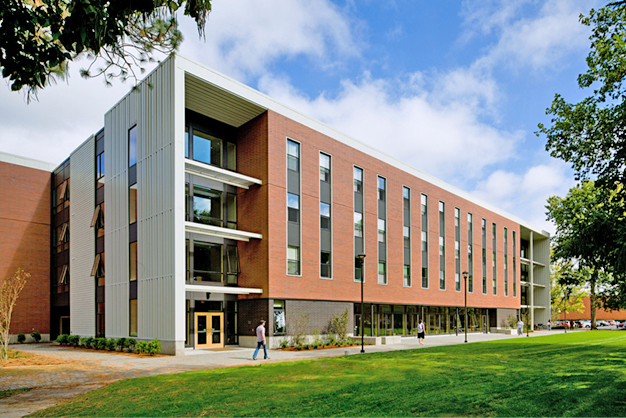 This expansion to Pacific University's Health Professions Campus houses the dean's office, the School of Professional Psychology, the School of Occupational Therapy, research facilities for the School of Pharmacy, and a human anatomy lab. Brightworks is managing the LEED certification program for this new UCLA Health medical office building in Santa Clarita. Phase 1 will provide a new Radiation Oncology Suite, followed by a Clinic in phase 2, and a G.I. Endoscopy suite in phase 3. UCLA Health is adding services and presence in the fast-growing area of Santa Clarita. This medical office building tenant improvement is targeting LEED CI certification for its 18,000 square foot clinic and support spaces. 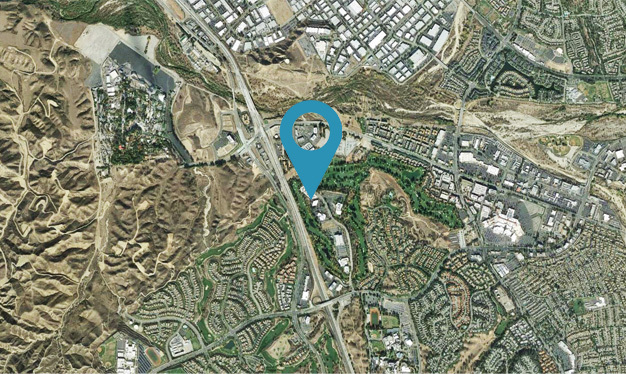 UCLA Health is adding services and presence in the fast-growing area of Santa Clarita, seeking LEED CI certification for the tenant improvement of 5,300 square feet of medical offices for oncology, radiology and endoscopy within a medical office building. 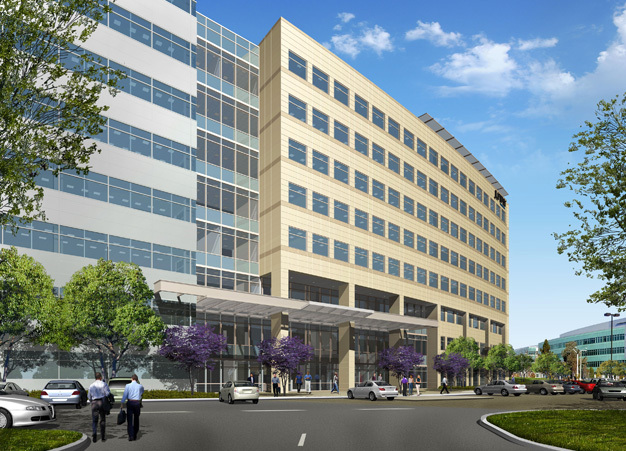 This space for a UCLA Health radiology department will occupy 9,500 square foot in UCLA Health's new Medical Office Building in Santa Clarita, a rapidly growing center north of Los Angeles. Brightworks peer reviewed the LEED EB:O&M Platinum certification plan for this new BP energy trading center in Houston, saving time and reducing the LEED project's cost by correcting improper documentation. 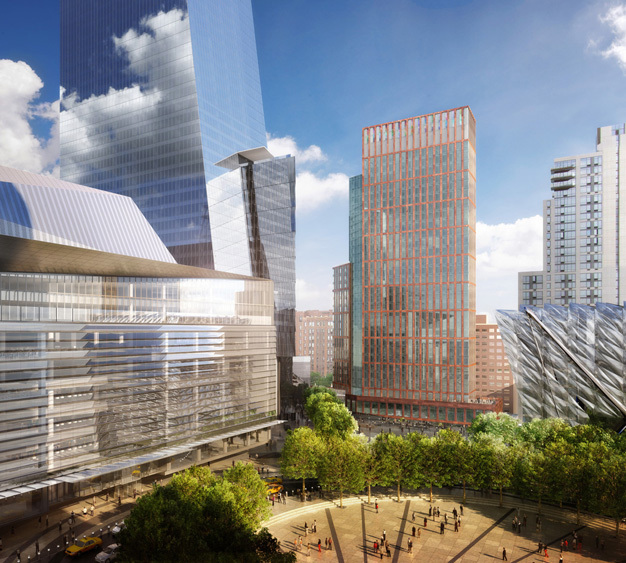 Brightworks is assisting Related with a healthy material program for its development at Hudson Yards. This includes materials analysis and selection, participation in the Pharos project using HBN Health Product Declaration, and on-site verification. This data center will serve the financial sector in Chicago, home to three major financial and futures exchanges: the Chicago Stock Exchange, the Chicago Board Options Exchange and the Chicago Mercantile Exchange. California Courts’ new Indio Juvenile & Family Courthouse will bring 53,000 square feet of judicial space within two stories and a mechanical penthouse. The building is being designed and constructed to achieve a LEED Silver certification. 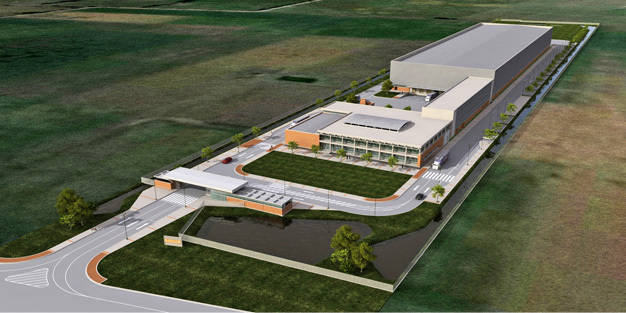 For Facebook's Altoona, Iowa, data center, Brightworks is helping Facebook apply for incentives from MidAmerican Energy for energy innovation and reduced environmental impacts. 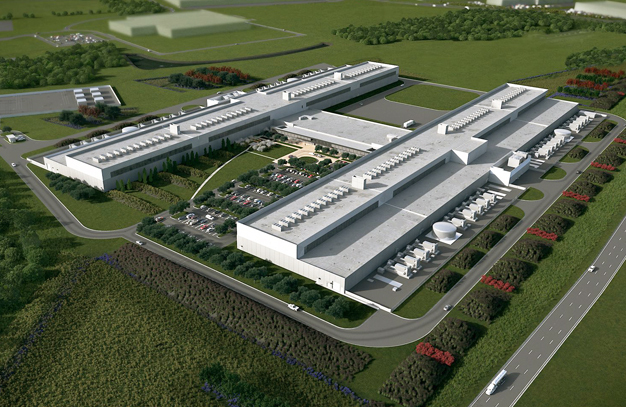 Facebook’s second data center in Europe will be located in Ireland, the location of Facebook’s international headquarters since 2009. Thanks to Ireland’s robust wind resources, the data center will be powered by 100 percent renewable energy. 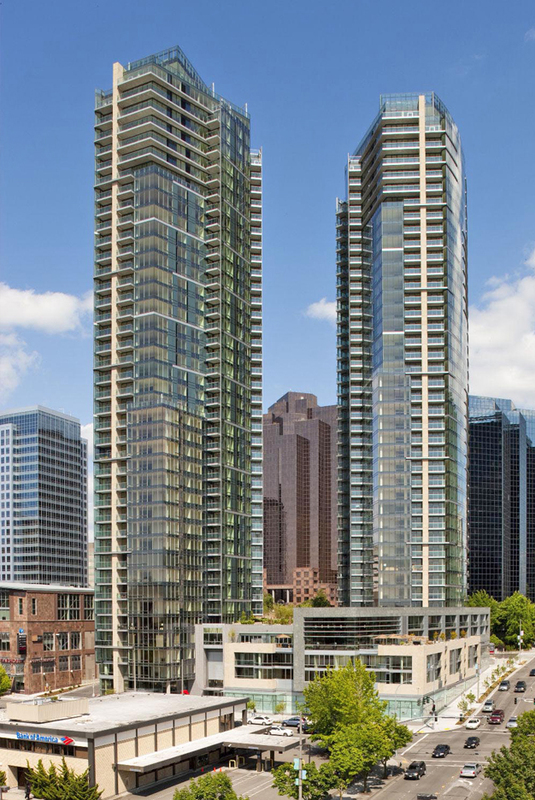 Rising 325 feet, the John Ross condominium tower in Portland's South Waterfront neighborhood features innovative storm-water management technology, environmentally-friendly materials, eco-roofs, and access to innovative public transportation. 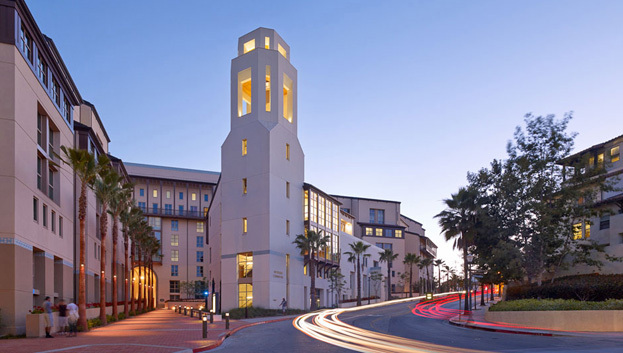 With LEED v4 developments under management for Caltech, Gerding Edlen, and California Lutheran University, Brightworks was well-positioned to train Skanska staff in the implications for contractors of the new rating system, launching June of 2015. 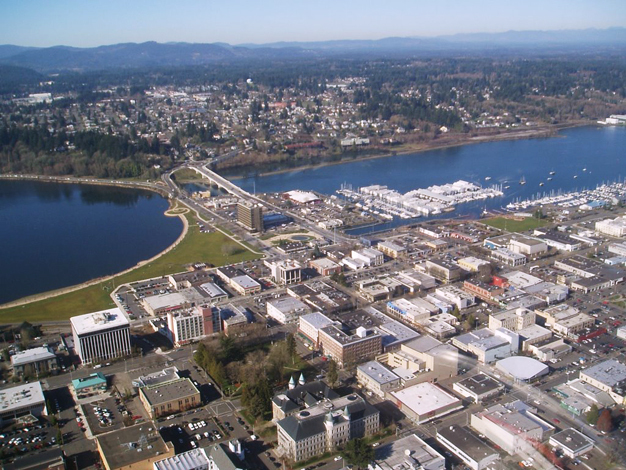 To help the City of Portland prepare for the LEED rating system to transition from version 3 to 4, Brightworks trained City staff on new LEED v4 standards to inform potential city policy updates, new building design and future budgeting needs . 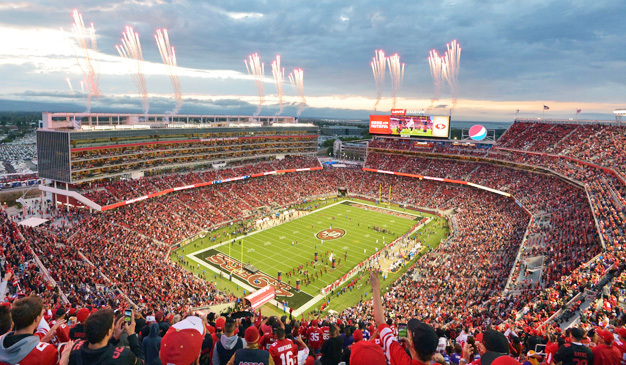 LEED Gold certified when first built, the 49ers furthered their environmental program with the design, implementation, and verification of a sustainable operations and maintenance program for the new Levi's Stadium. Brightworks developed a successful energy analysis plan that won Energy Trust of Oregon incentive funds for Facebook to conduct an analysis of lighting efficiency measures for its 30 megawatt, 300,000-square-foot data center in Prineville, Oregon. This 1.5 million-square-foot, commercial mixed-use addition to Lincoln Square will house a hotel operated by a major brand, offices for information economy businesses, retail amenities, and structured parking. The project will be LEED Gold certified. 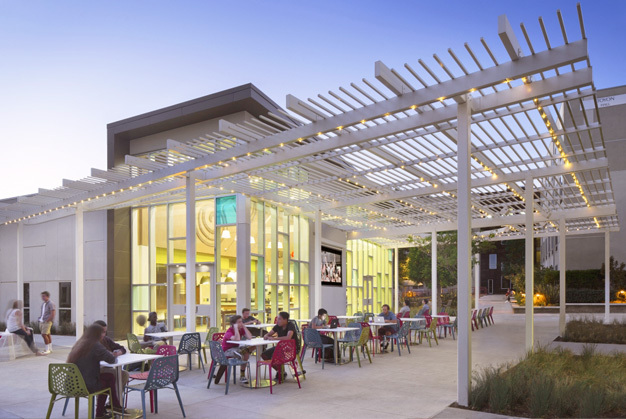 As CSU Monterey Bay updates its master plan to accommodate significant growth and promote environmental sustainability, it retained Brightworks to provide a recommendation for becoming a Living Community or pursuing LEED for Neighborhood Development. 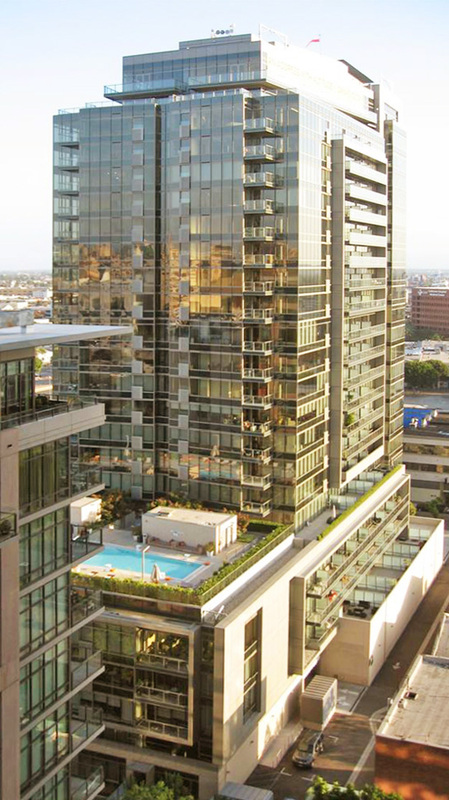 The second LEED Gold condominium tower in California, Luma was also the second of three residential towers in downtown LA's South Park district. The 19-story building reduces water use 30% while featuring healthy and sustainable materials in the units. Part of a 5-block urban redevelopment, this office and retail building used 30% recycled and 40% regionally manufactured building materials. It also features building-integrated PVs, an eco-roof, and natural daylight. No security, overcrowding, out-of-date facilities, and poor access to court services will be corrected in this striking and sustainable replacement courthouse for Madera County in California's Central Valley. Prominently sited on USC's University Park Campus, the growing Marshall School's new Fertitta Hall undergraduate instruction building facilitates collaborative and technology-enabled learning with state-of-the-art classrooms and expanded student areas. McNeal Pavilion was originally constructed in 1957, and will now undergo a full renovation and expansion to provide updated fitness and recreation facilities for basketball, racquetball, dance and climbing in 130,000 square feet of LEED certified space. Brightworks is working with SOU and its design team to prepare a LEED energy model while also managing the LEED program for the 130,000-square-foot sports and recreation facility. In its effort to attract new tenants, the owner of this building retained Brightworks to conduct a feasibility assessment of the property's certification potential under LEED's Core & Shell rating system. The property now houses Zynga and Siemens offices. Under our LEED for Contractors package, Brightworks ensures that the contractor and subcontractors meet the LEED requirements outlined in the project specifications and deliver the LEED program in line with the schedule. 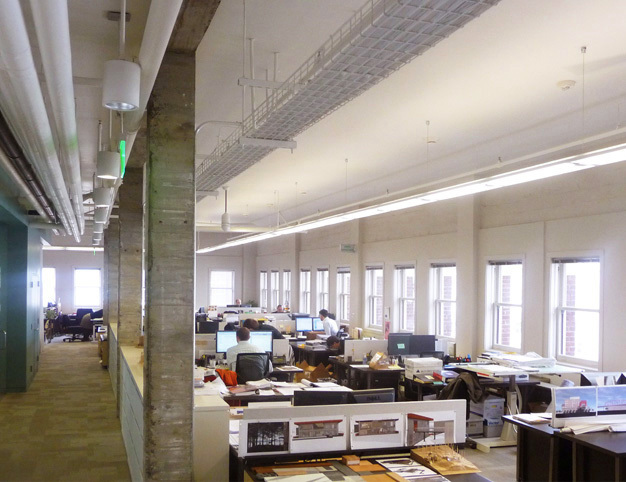 Led by eBay founder Pierre Omidyar, Glenn Greenwald, Laura Poitras, and Jeremy Scahill, New Look Media will operate 24/7/365 from this new office in an historic San Francisco Mission District building. 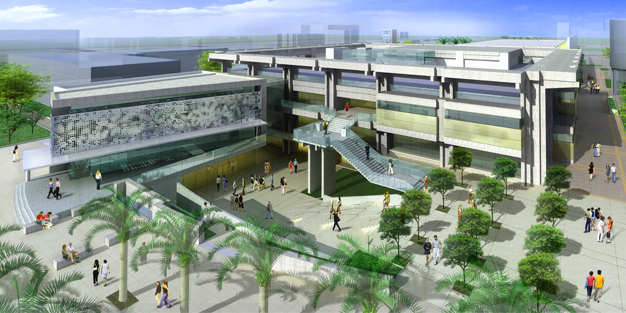 HP is bringing café space, lab space, and offices to Sunnyvale's Moffett Towers development. Brightworks is managing the LEED CI Gold certification of this major build-out. 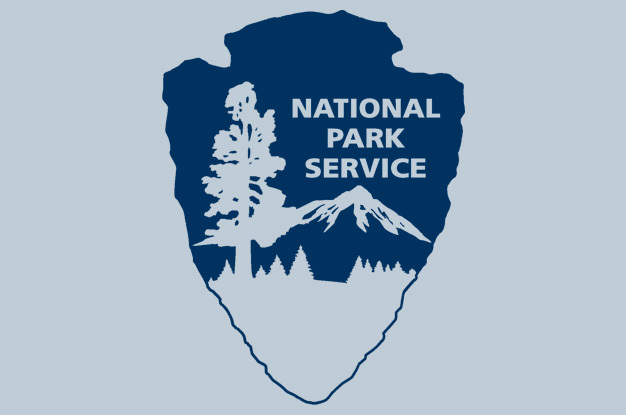 Brightworks is acting as the Earth Advantage Project Steward for this renovation of maintenance facilities for the Portland Parks and Recreation Department's Urban Forestry and Mount Tabor Park operations. New galleries and outdoor gardens will honor and educate visitors about the indigenous peoples of California, their relationship to the natural environment, and key resource stewardship practices they have used to sustain their cultures. 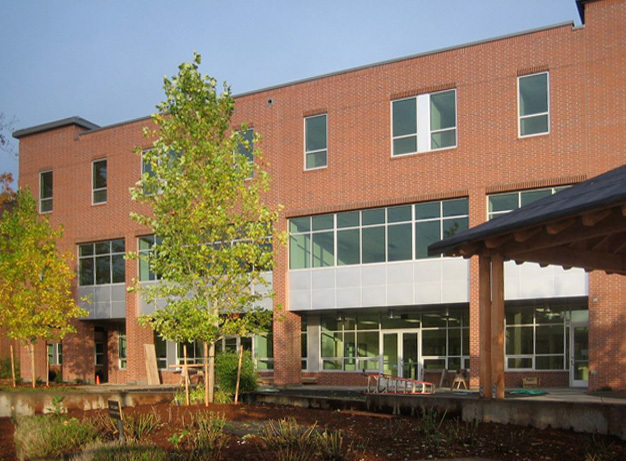 This 33,000 square foot early education center is a joint project of the Native American Youth and Family Center and Portland Public Schools, and is seeking LEED for Schools Gold certification for its eight classrooms and community center spaces. In addition to managing the LEED for Schools certification process for this 33,000 square foot early learning center for Native American youth, Brightworks is also performing energy modeling services to meet LEED credit requirements. This new city hall was designed to be flexible and long-lasting for the citizens of Happy Valley. The exterior of this new facility emphasizes local stone and wood, rooting it in the vernacular of the Pacific Northwest. Among other sustainability measures, strategic glazing, shading devices, and low cubicle walls optimize daylight and thermal comfort in this new city hall for Washington state's capital city, housing city council and the legal and planning departments.